The reporting platform voted #1 by Infusionsoft's Founders. the rate of improvement accelerates. 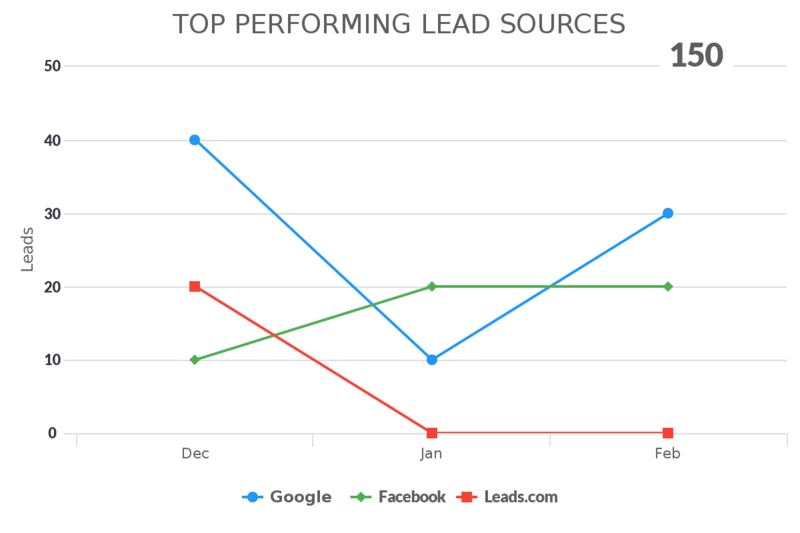 Monitor website traffic, record dynamic lead sources, measure funnel conversion, tweak, improve & repeat. 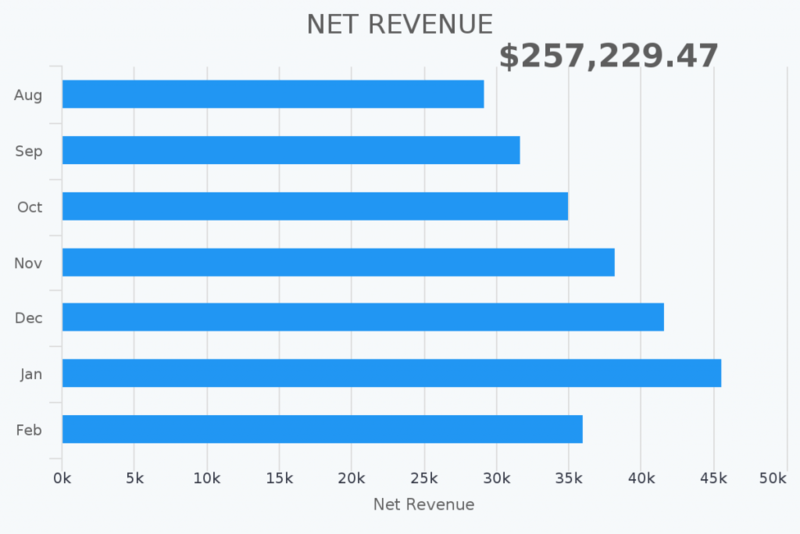 Track individual sales rep performance, forecast revenue, view gross & net revenue numbers. 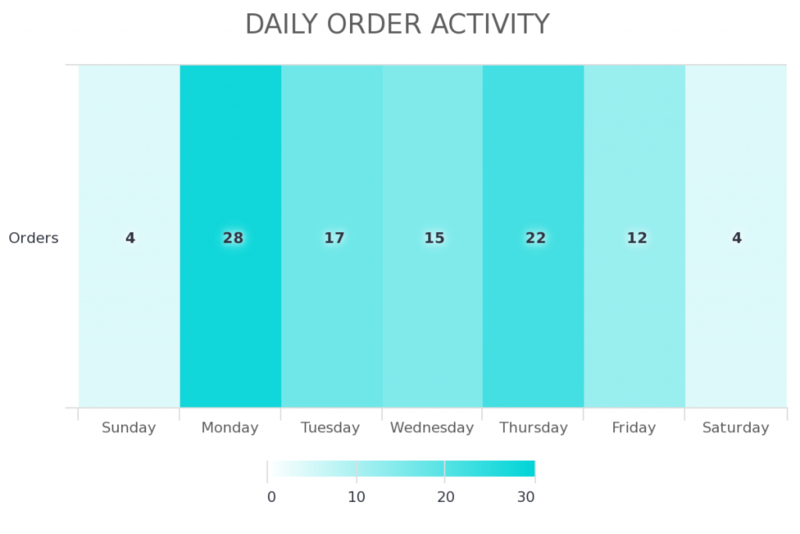 View net promoter surveys, fulfill on orders, improve retention rates, deliver & satisfy. 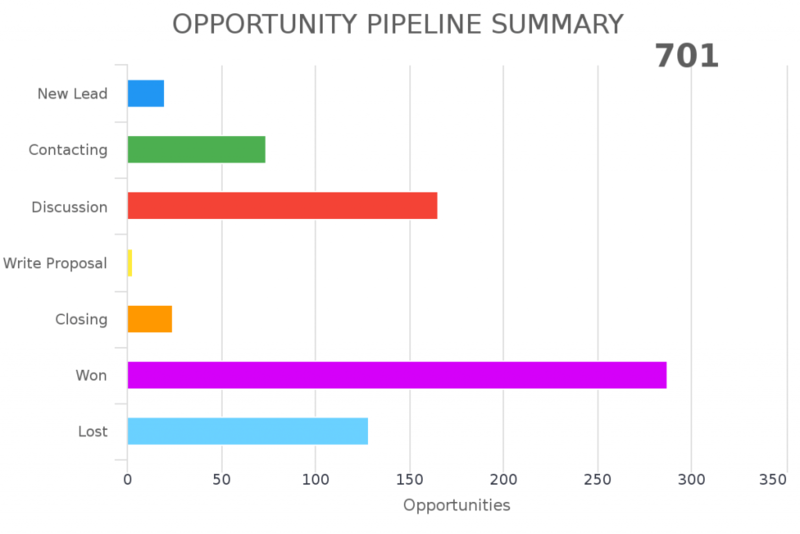 Get started quickly by tapping into more than 50 report templates. 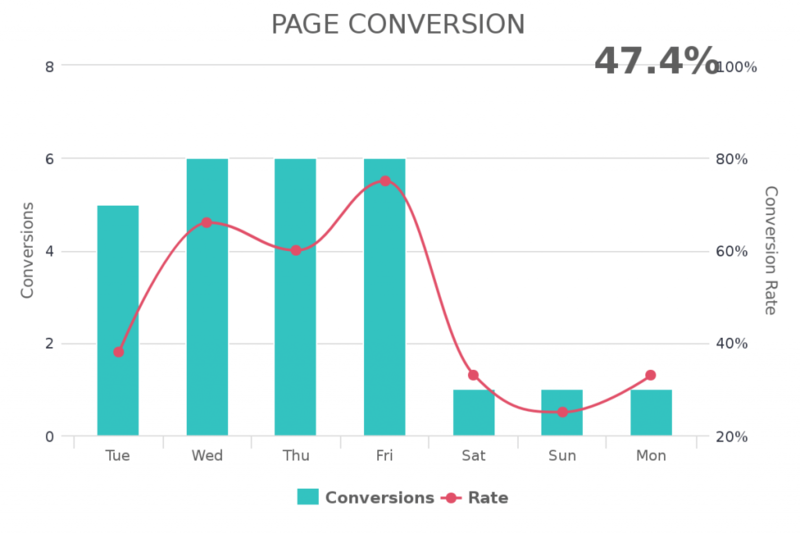 Choose your template, select your graph type, set adjust the parameters, and click save. It doesn’t get any easier than that. Get at the exact data you want. 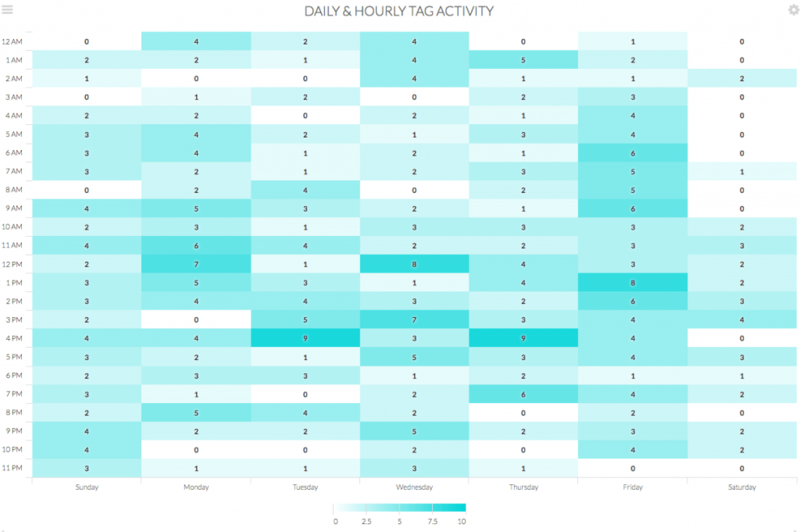 Venture outside of the template library, joining tables and running smart queries that will result in a data playground every savvy marketer would salivate over. Coming soon! 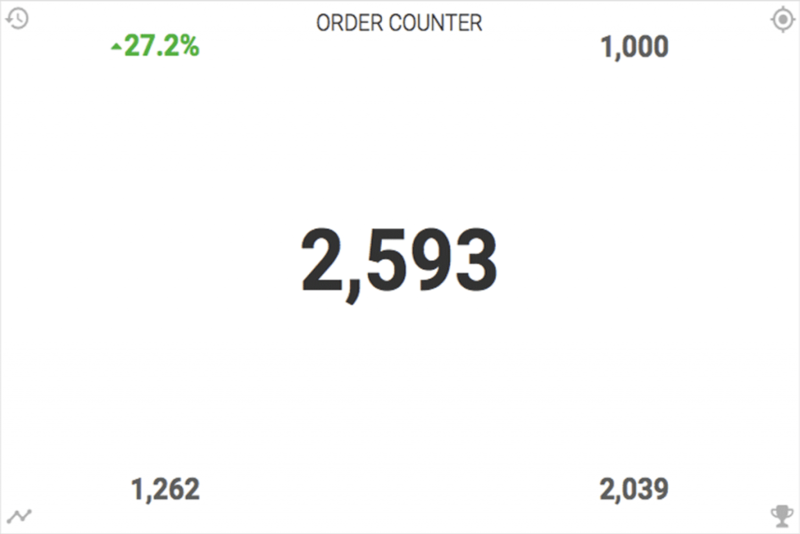 Our 12 column grid gives you the ultimate flexibility to resize individual widgets on your dashboard and reposition them in a a custom layout that makes sense to you and your organization. Desktops, laptops, tablets and smart phones…regardless of the device you use to interact with Graphly, you’re guaranteed to have a slick and intuitive experience - whether you’re at home, the office or on the go. All accounts include daily data syncs. Larger accounts sync every hour, or even every 15 minutes. Gain access to historical data immediately and have us store a copy of it for as long as you desire. Own more than one business? Login with 1 set of credentials, and access all of your accounts. 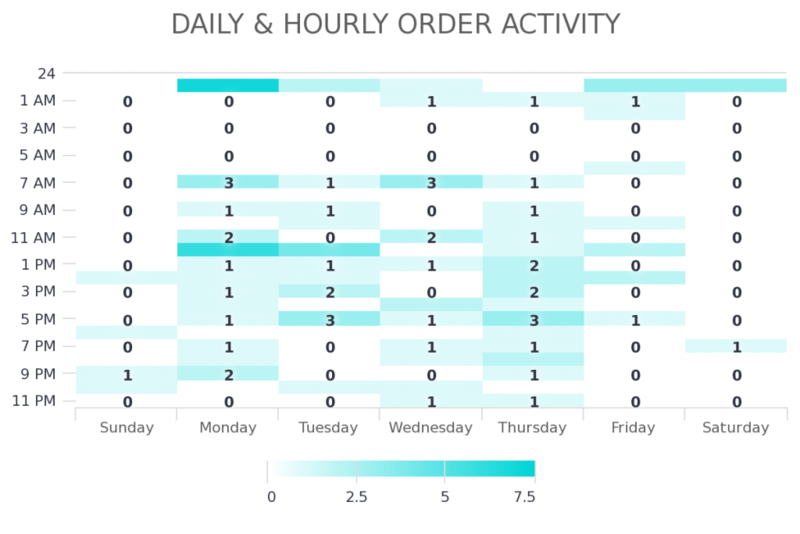 Organize your reports into individual dashboards, I.e. Marketing, Sales, Orders and Customer Service. Grant multiple users access to your account with 3 unique permission levels that impact the ability to create, edit and delete reports. Click the top right of any widget to print, save a PDF document or download a PNG, JPG or SVG vector image. Ask us about CSV and SQL exports. Choose from one of our professionally designed themes to tailor your viewing experience, based on personal preference or environment. 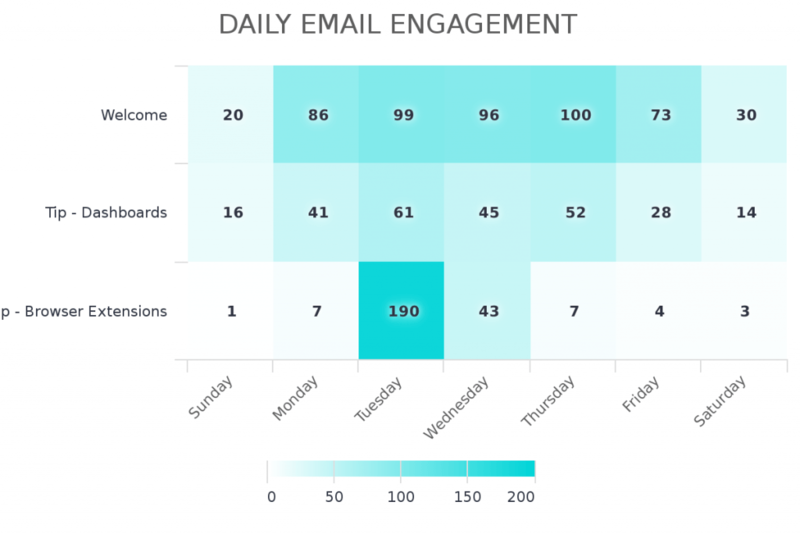 Receive an email or text message when a data point rises above a certain value, falls below a certain percentage, achieves a goal and so much more (coming soon). No credit card required and no obligations. Stop throwing money after bad lead sources and start investing in the ones that are thriving. Displays the number of contacts in a list of tags over a given date range. 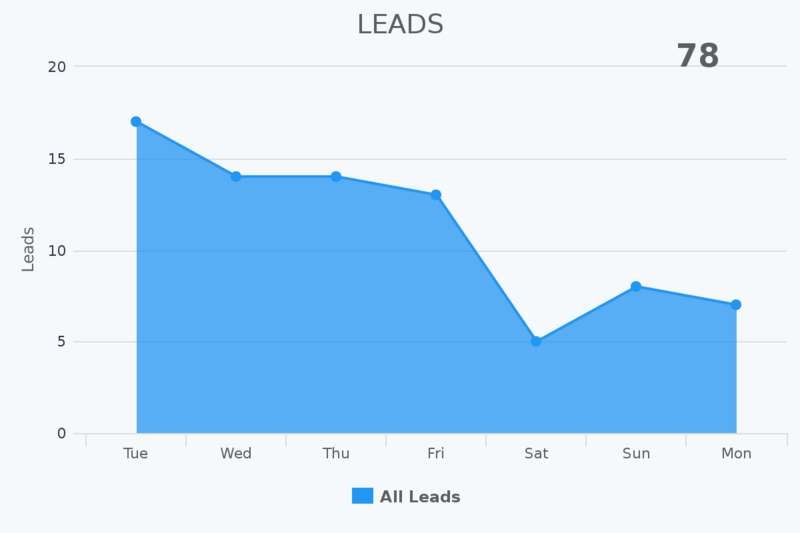 Show total number of leads coming in within a date range. 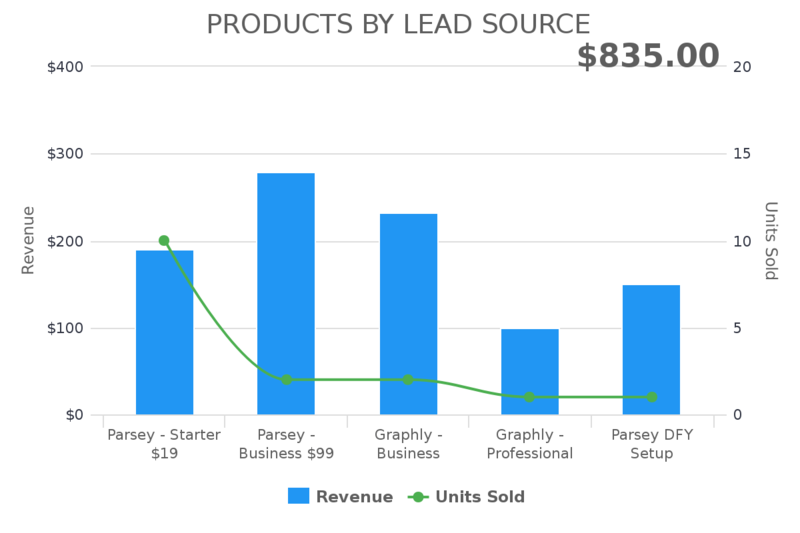 Show the net product sales (subtracts discounts), from a selected lead source. 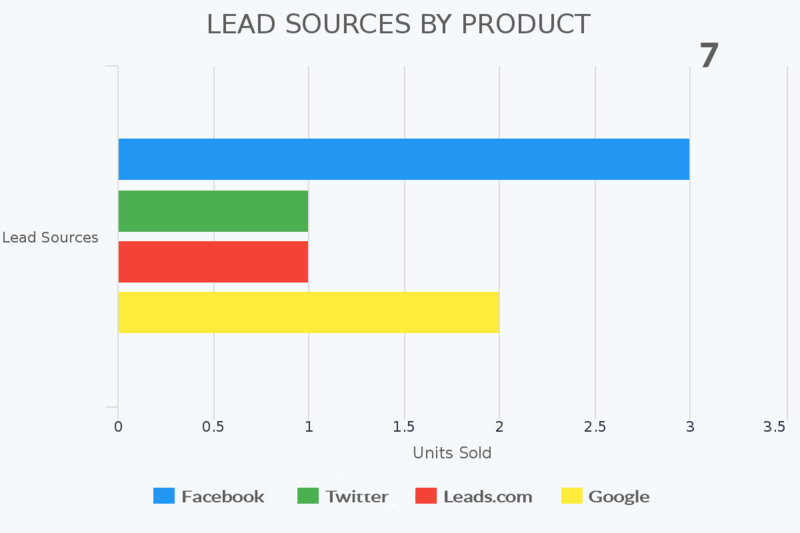 Show the lead sources that generated the selected product sales. 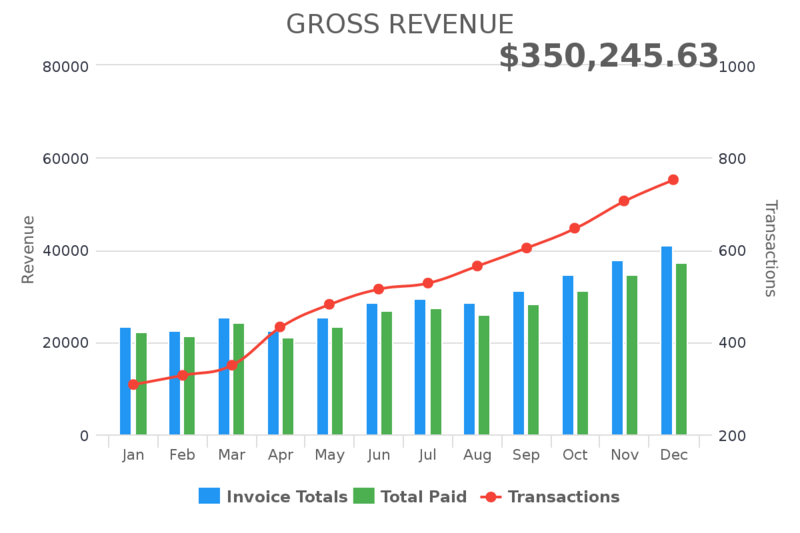 Displays invoice totals, total collected and the number of transactions that represent the revenue. Set an invoice total goal and see your progress towards it. 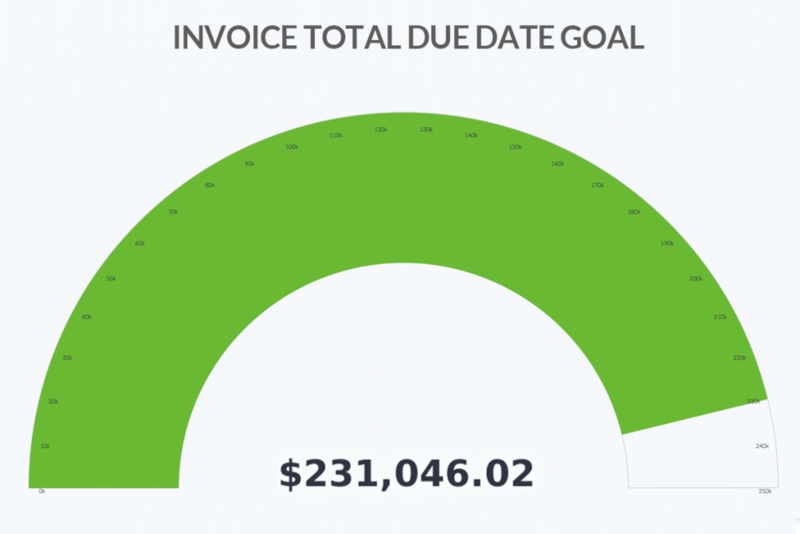 Set an invoice total goal based on the Due Date and see your progress towards it. Set a product purchased revenue goal based on the timeframe that they purchased. 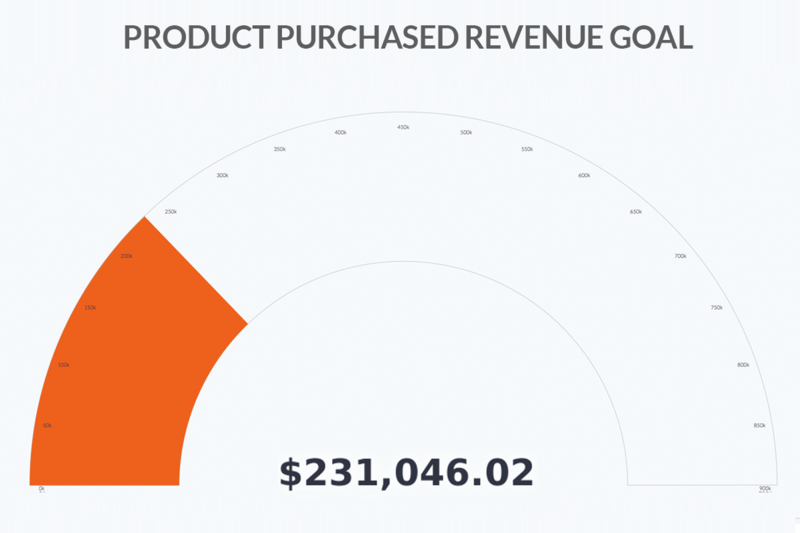 Set a product category purchased revenue goal base on the timeframe that they purchased and track progress towards it. 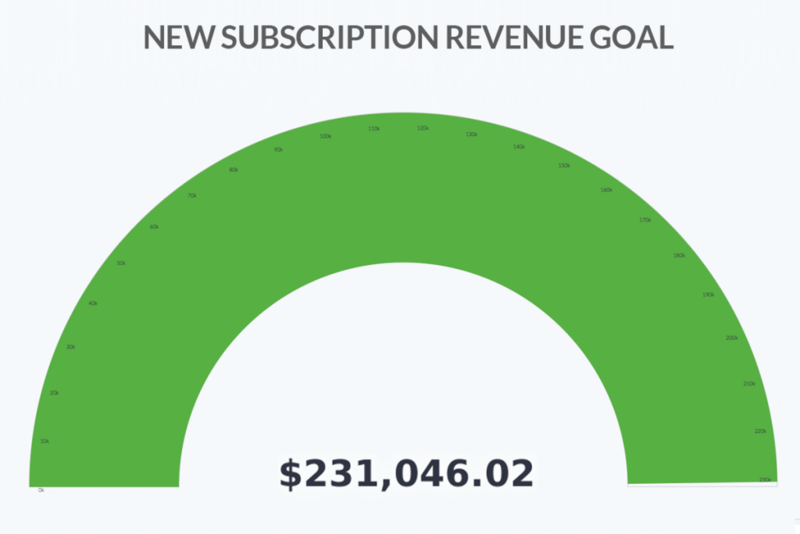 Set a goal the new subscriptions revenue and track progress towards it. 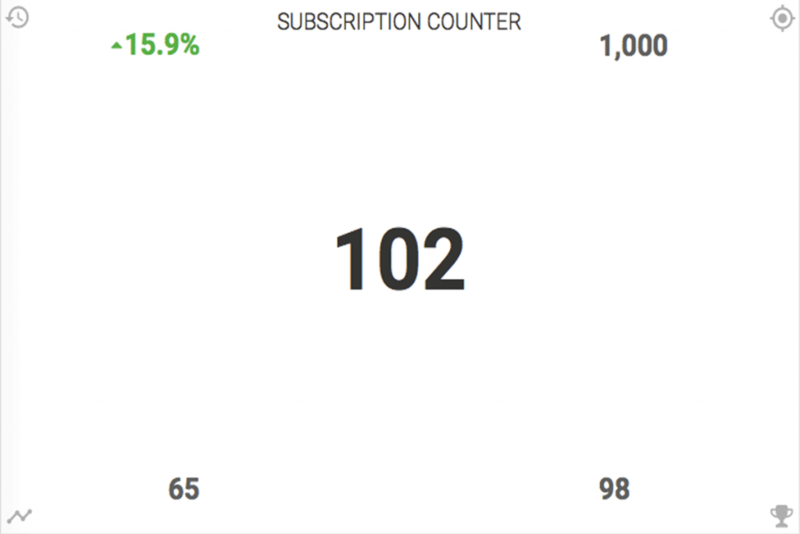 Set a goal for all subscriptions revenue and track progress towards it. 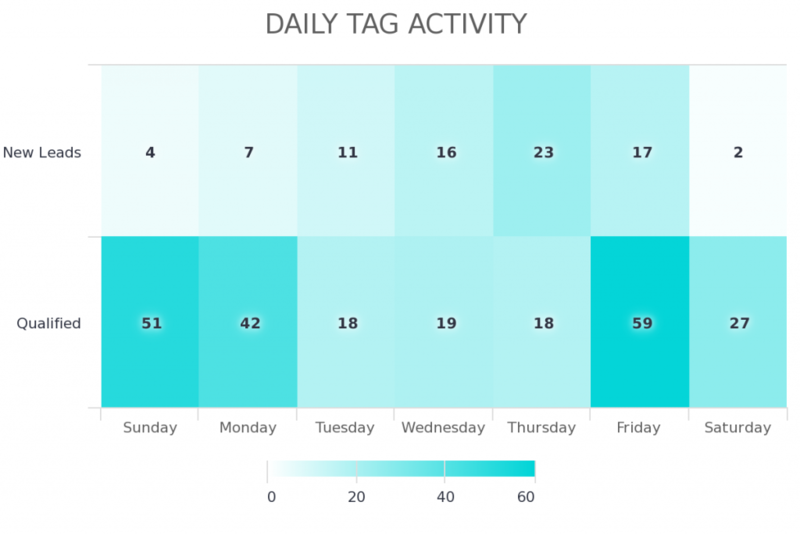 See how many tags get applied to contacts during a period of time. 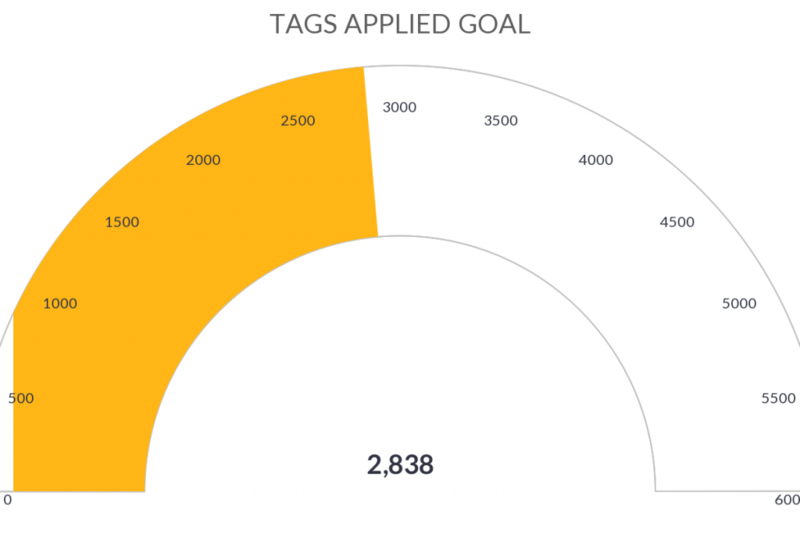 Set a goal of how many tags get applied during a certain period of time and track your progress towards it. 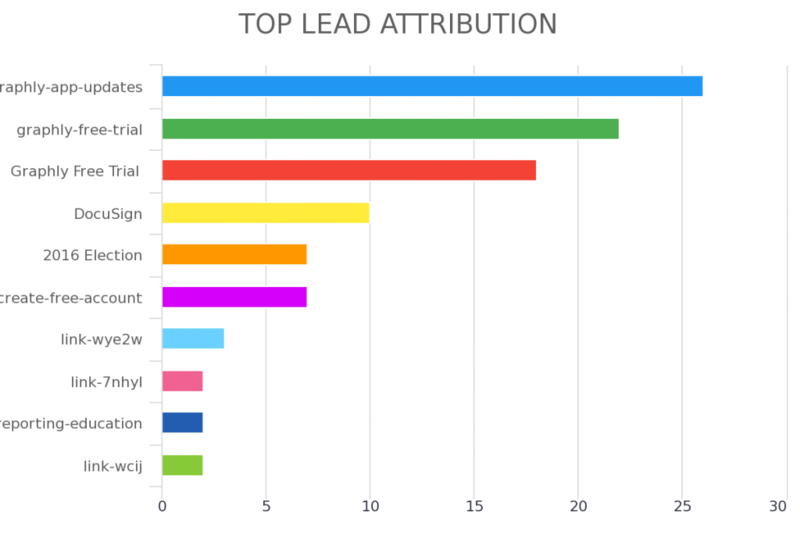 Show the lead sources that attributed to the selected tag getting applied. 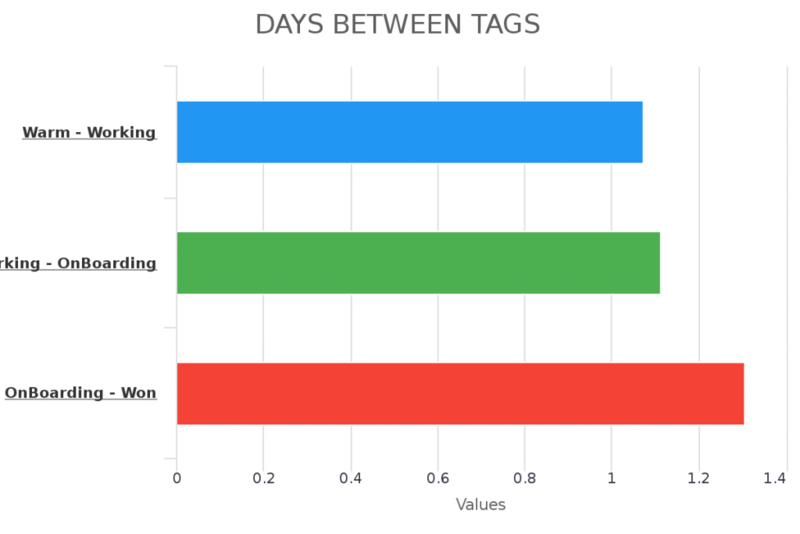 Calculate the number of days between when tags get applied. Show average as well as break down and see the details. 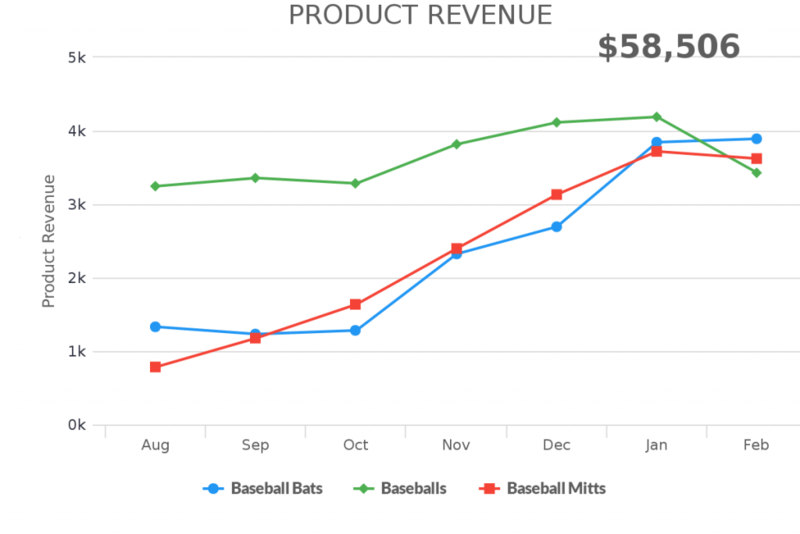 See the products revenue over a period of time. 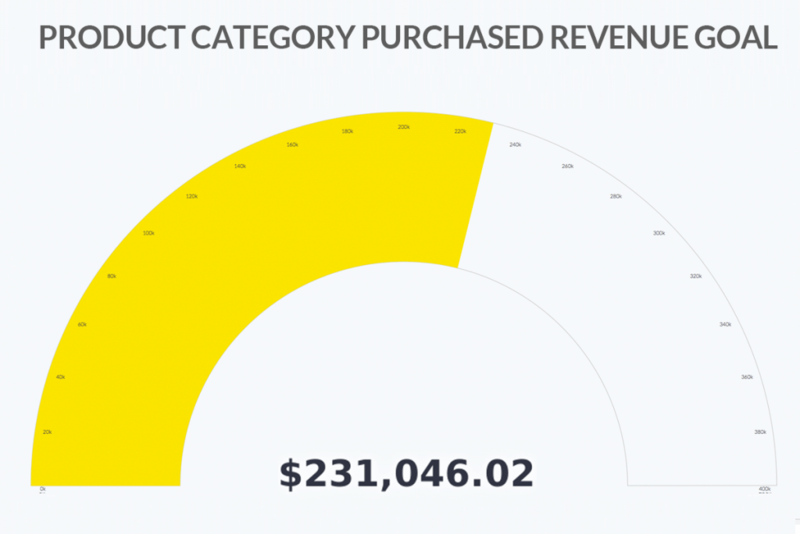 See the product categories revenue over a period of time. See what your pipeline revenue is based on selected stages. 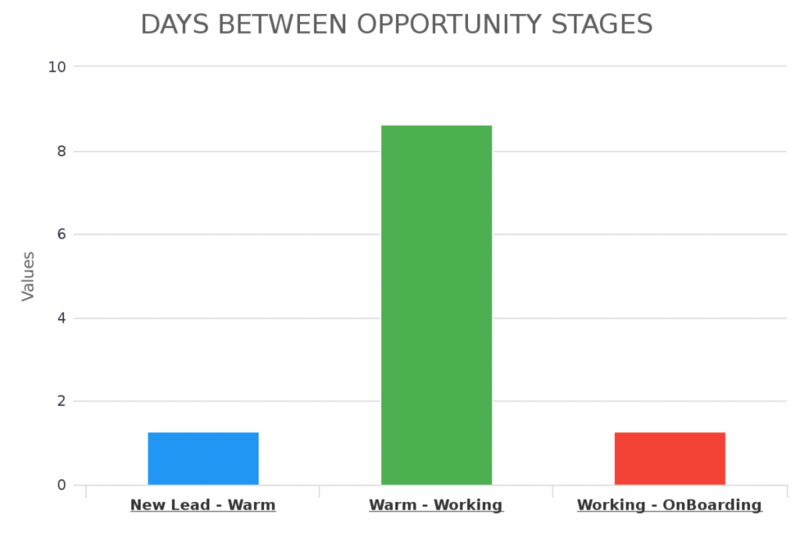 Calculate the number of days it takes for opportunities to move between stages. 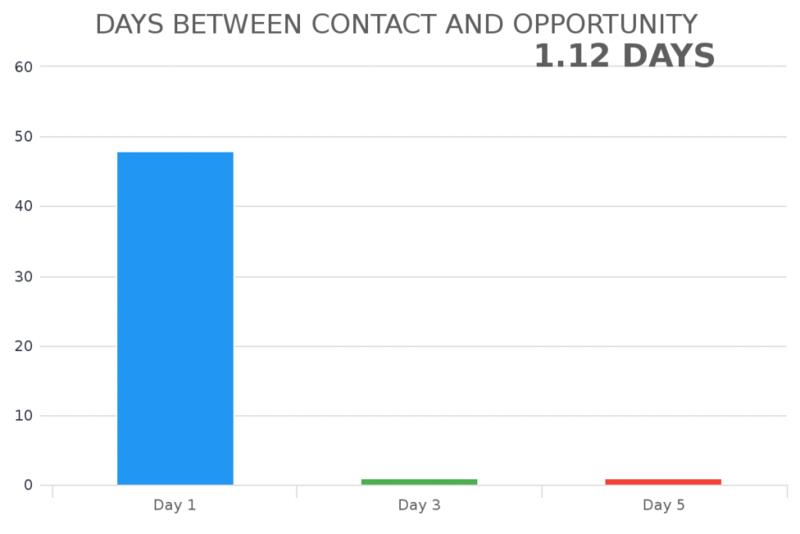 Calculate the days between when a contact was created and when the first opportunity was created for the contact. 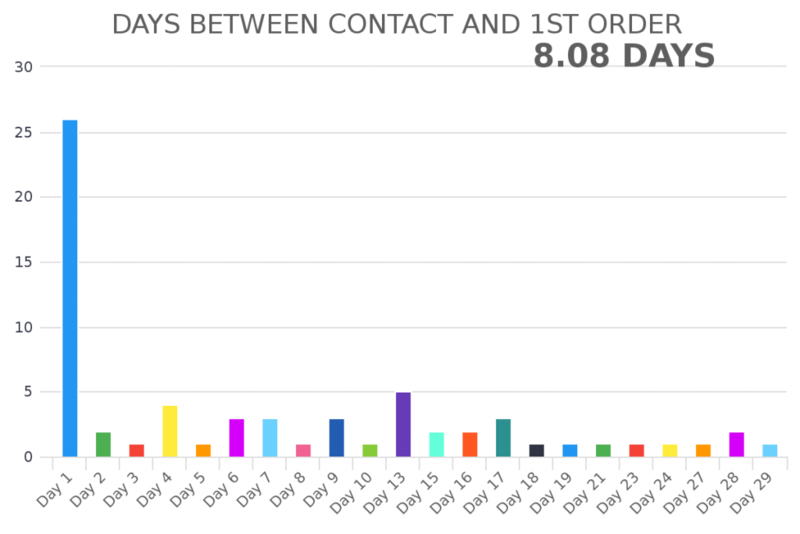 Calculate the number of days it takes from a contact being created to its 1st order. Display the revenue from invoices subtracting all shipping, tax, and cost of good. 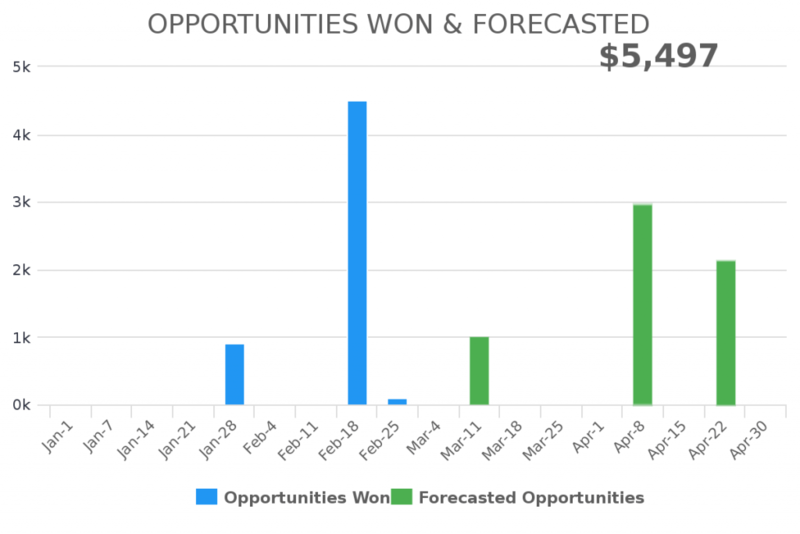 Displays the revenue from your WON opportunities and forecasts the revenue from your OPEN opportunities. 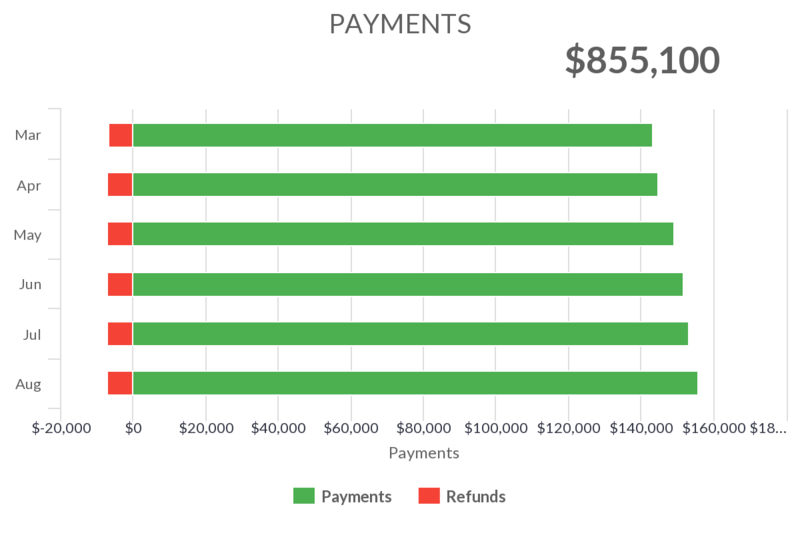 Display all your payments to view the amount of money you actually have collected during a time frame. 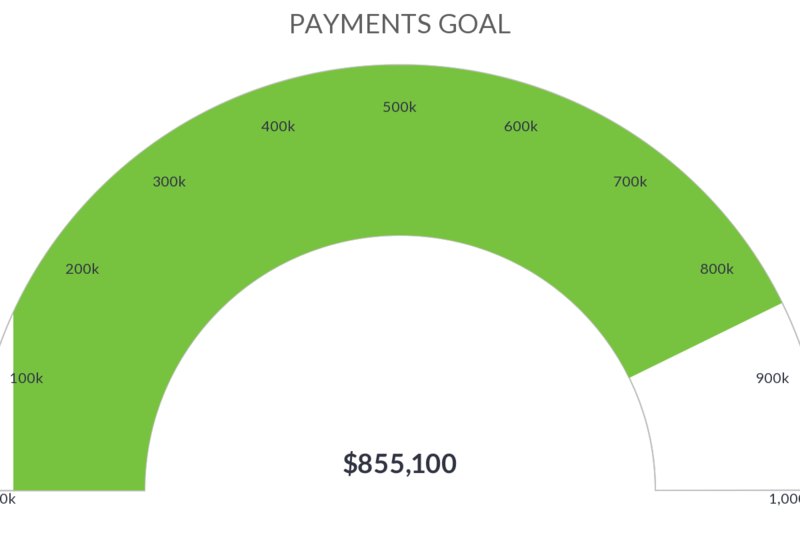 Set a goal for the payments you want to collect. 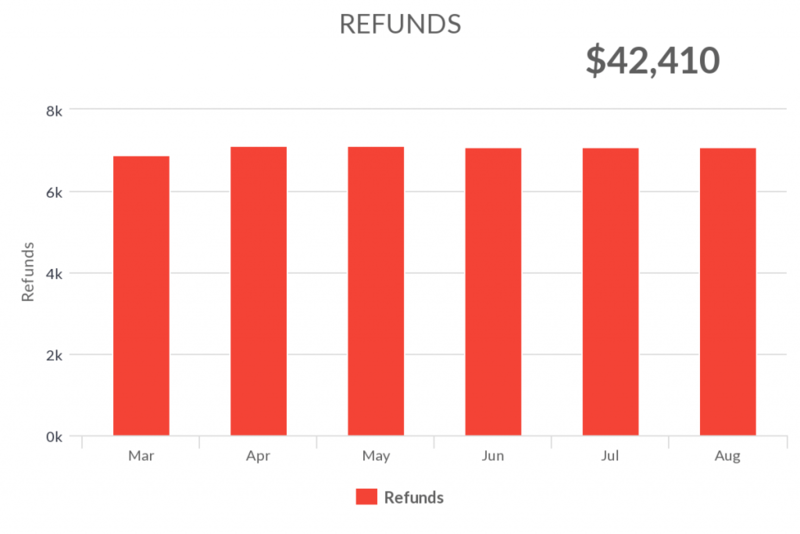 Show the amount of refunds that are processed in a given time frame. 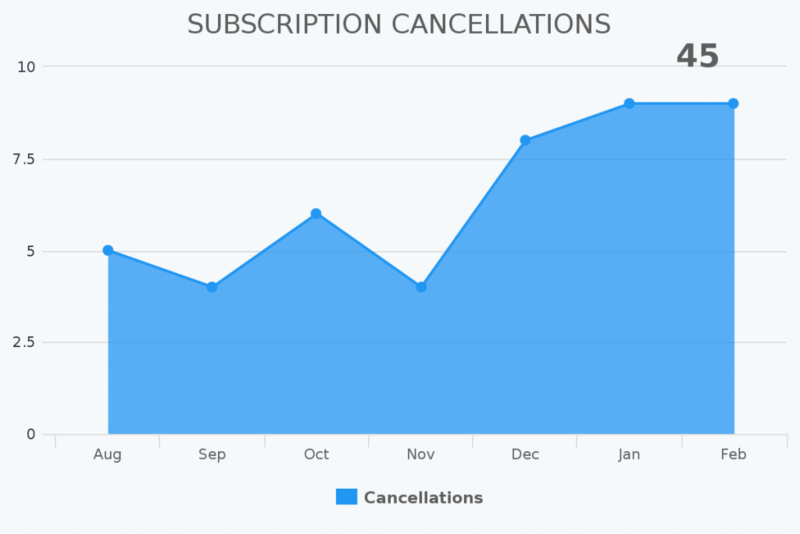 Show the number of subscriptions that are cancelled or inactivated during a given time frame. 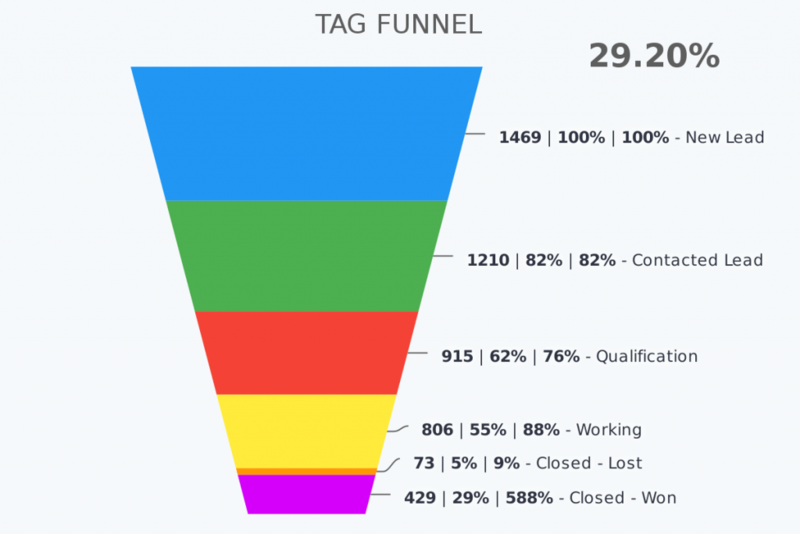 Show the attrition rate over a period of time. 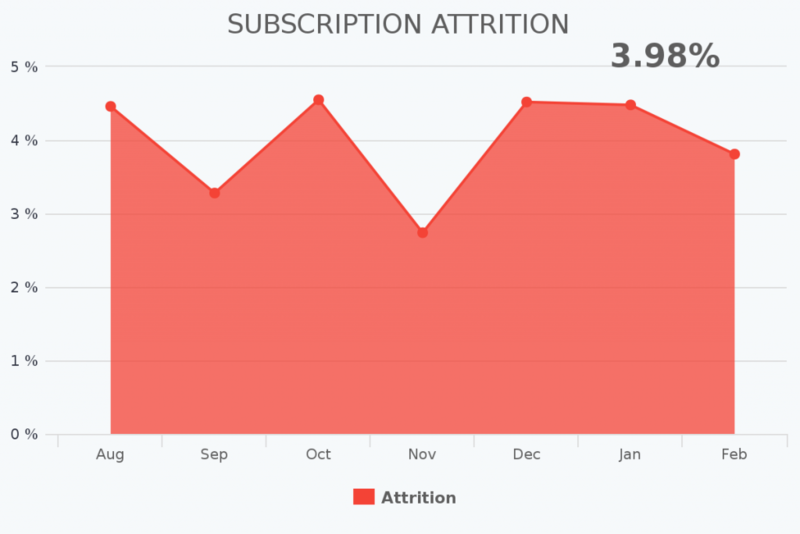 Attrition is calculated by the number of cancelled subscriptions divided by the active subscriptions within the same time frame. 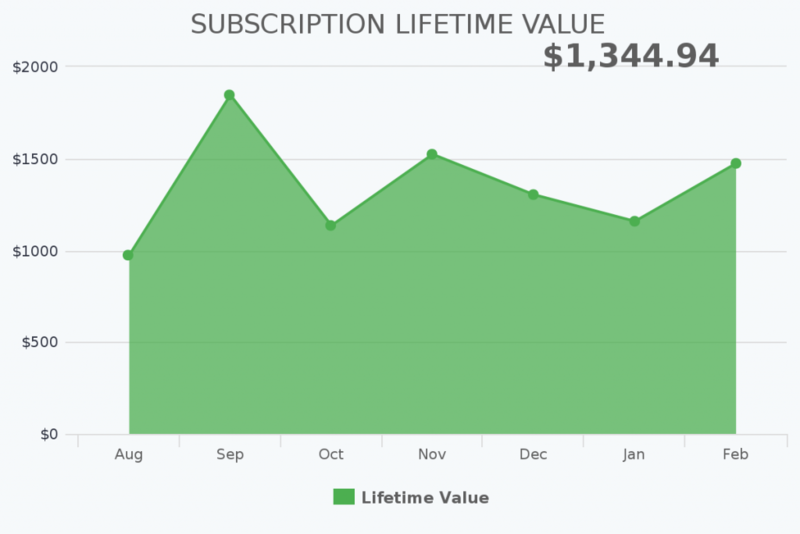 Shows the Lifetime Value of your customers for your selected subscriptions. 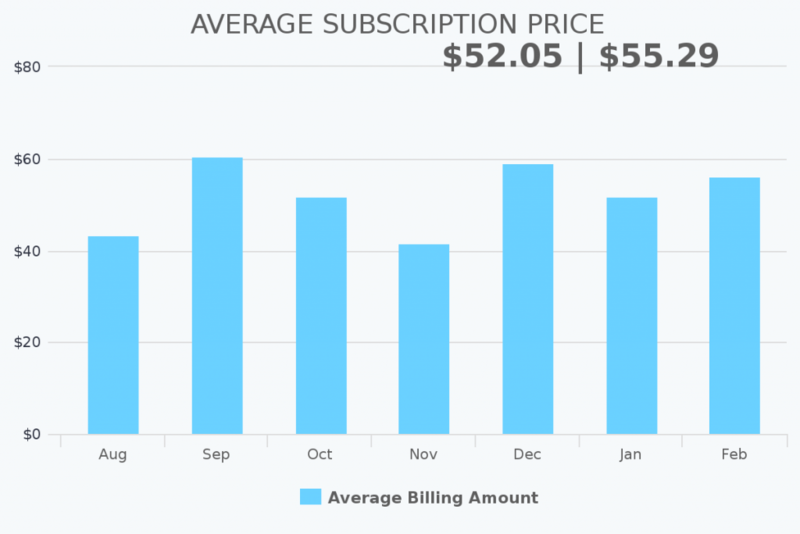 Find the average billing amount of your selected subscriptions. 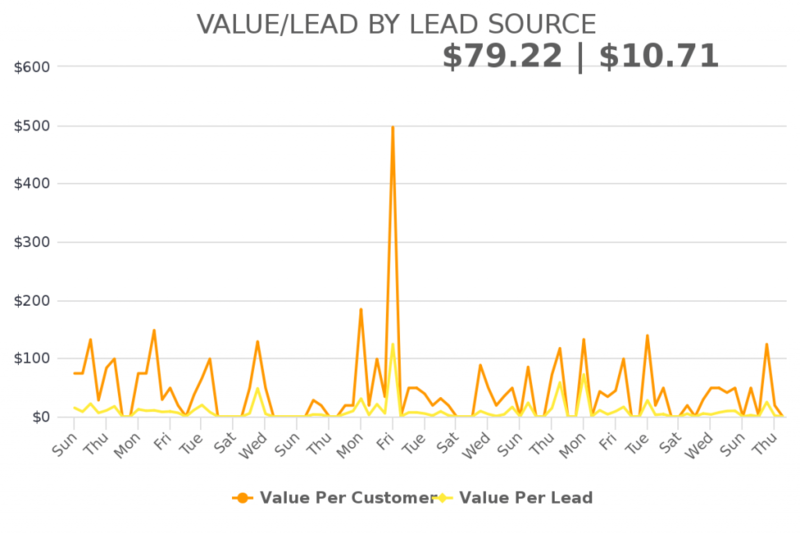 Calculate the value that each lead and/or customer is worth based on the lead source(s). Set the time frame of how many days after a lead is created to count revenue. 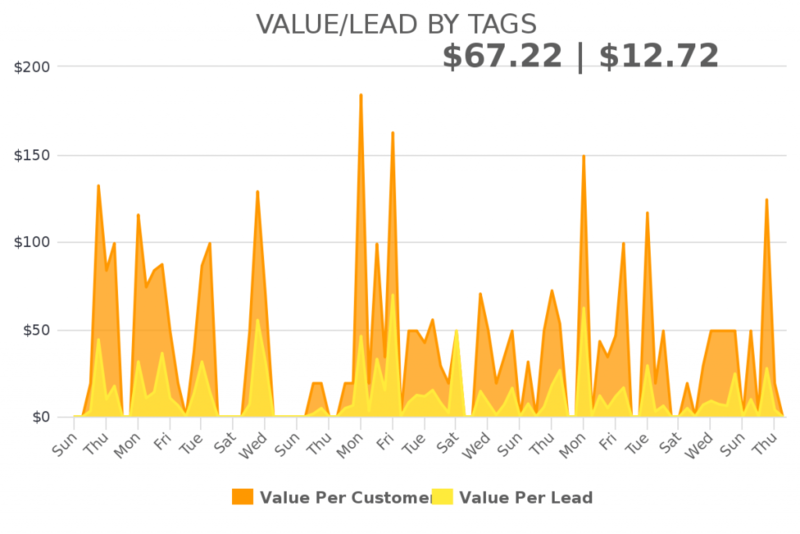 Calculate the value that each lead and/or customer is worth based on a tag(s) getting applied. 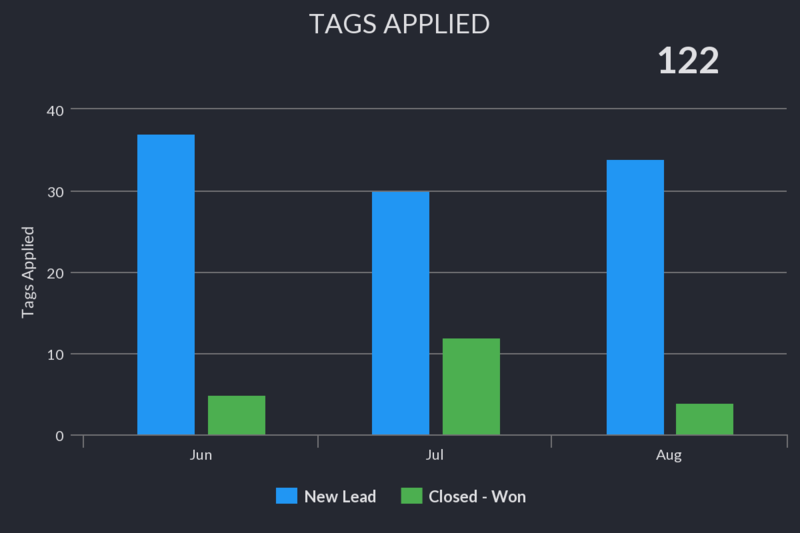 Set the time frame of how many days after the tags are applied to count revenue. 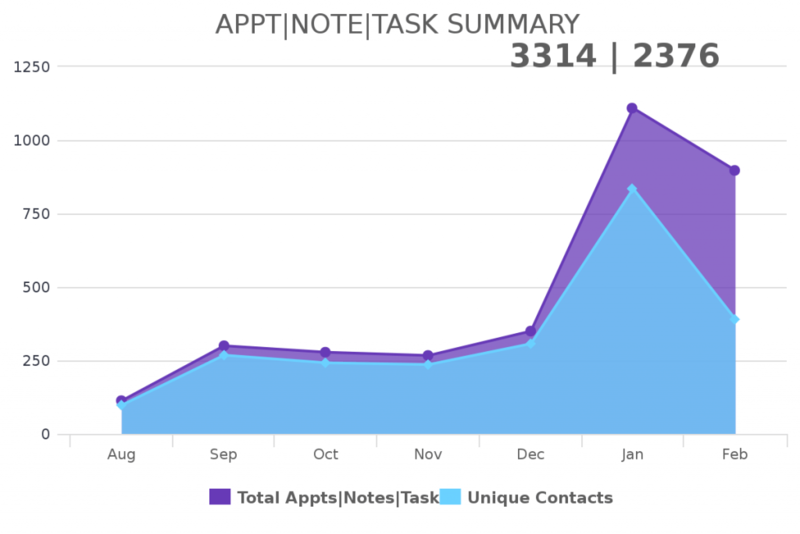 Show the appointments, notes, and/or tasks summary that have been completed accrues a given date range. 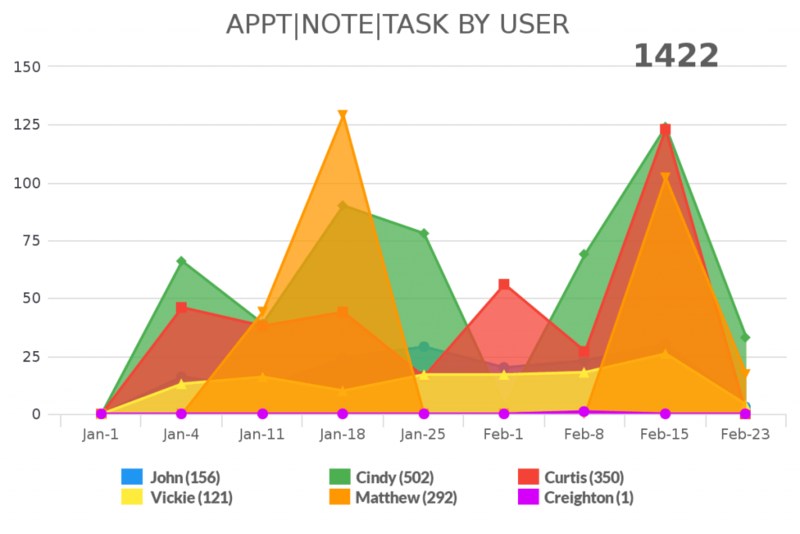 Show the appointment, notes, and tasks for each user to compare them to each other. 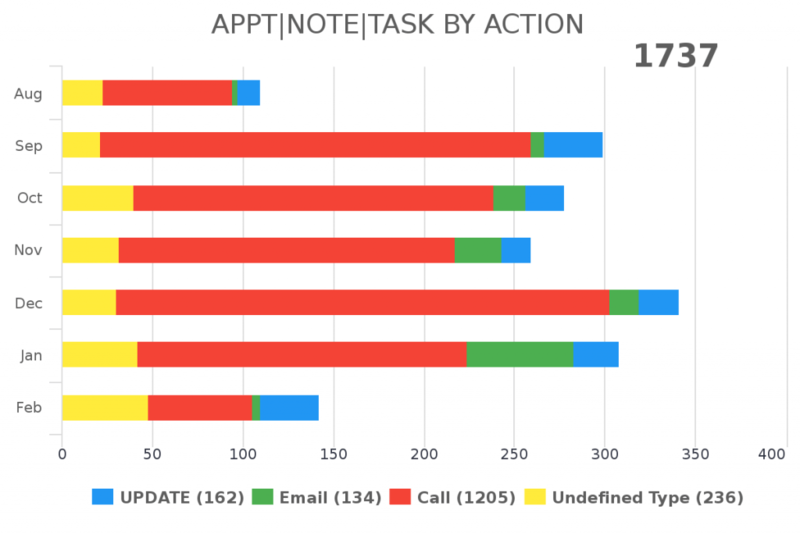 Show the appointments, notes, and tasks for each Action Type to compare them to each other. 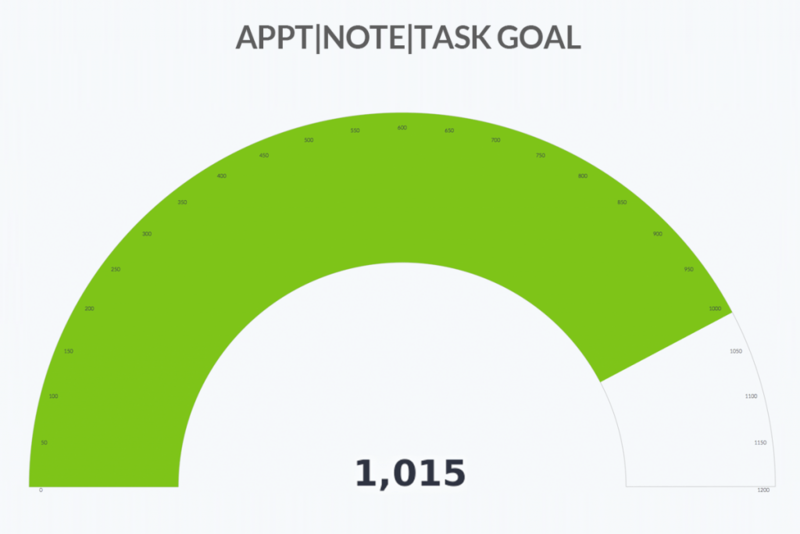 Set a goal for appointments, notes, and tasks for you users and track progress towards it. 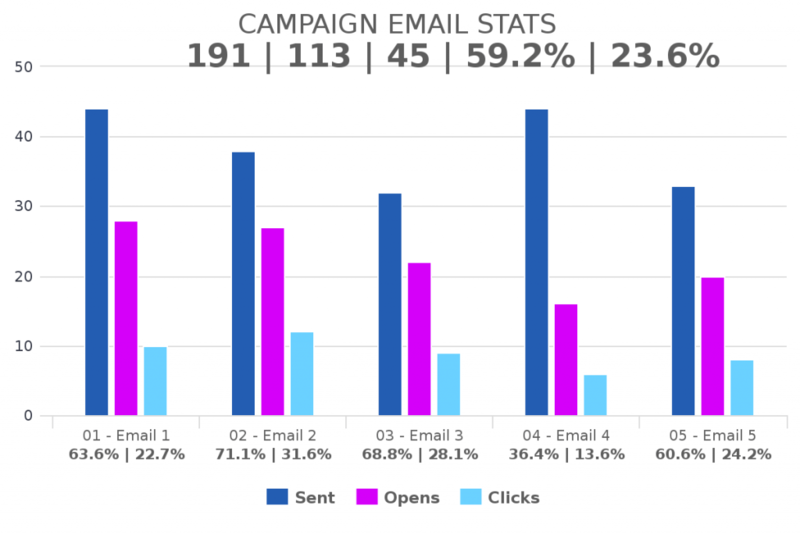 Show the opens, clicks, and conversions for each email in a campaign sequence. 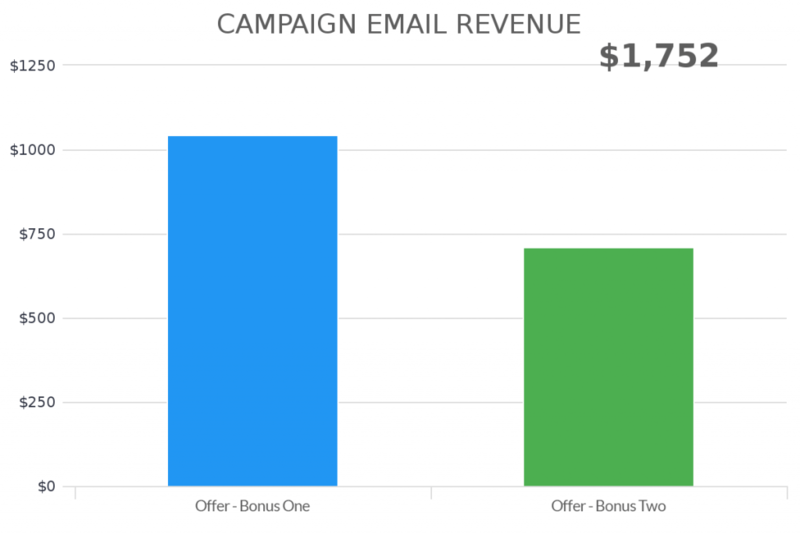 Show the revenue generated by each email in a campaign sequence. 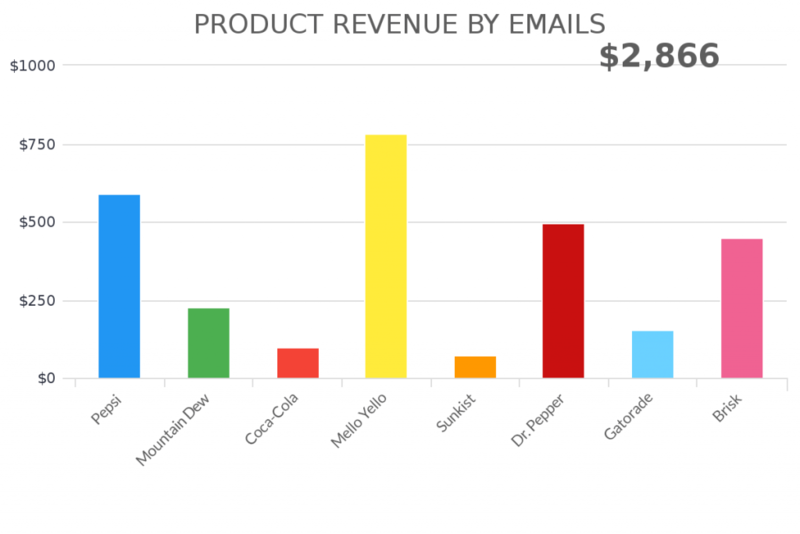 Shows the emails responsible (and revenue) for selling the products you’ve selected. 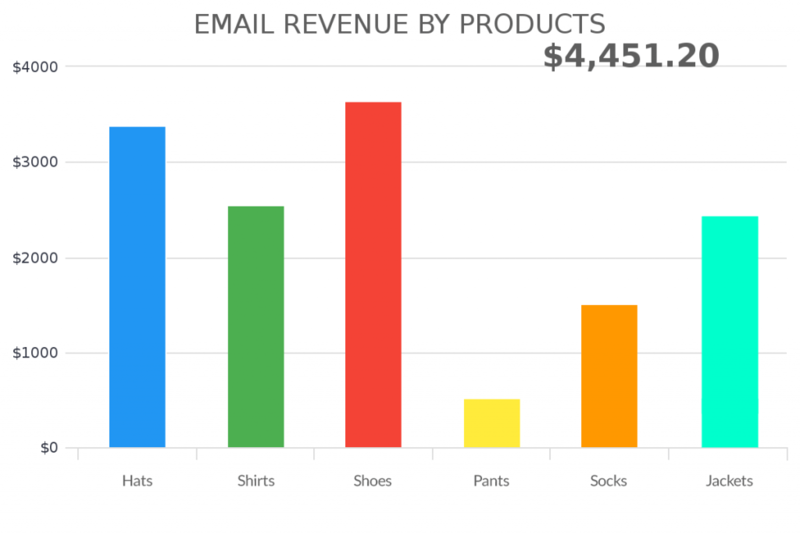 Shows the product(s) revenue for the emails you’ve selected. 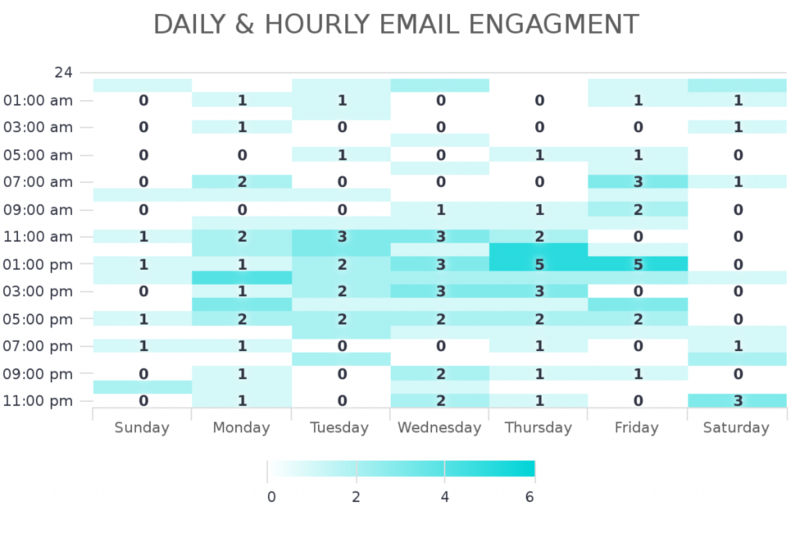 Shows the best days of the week to send emails. 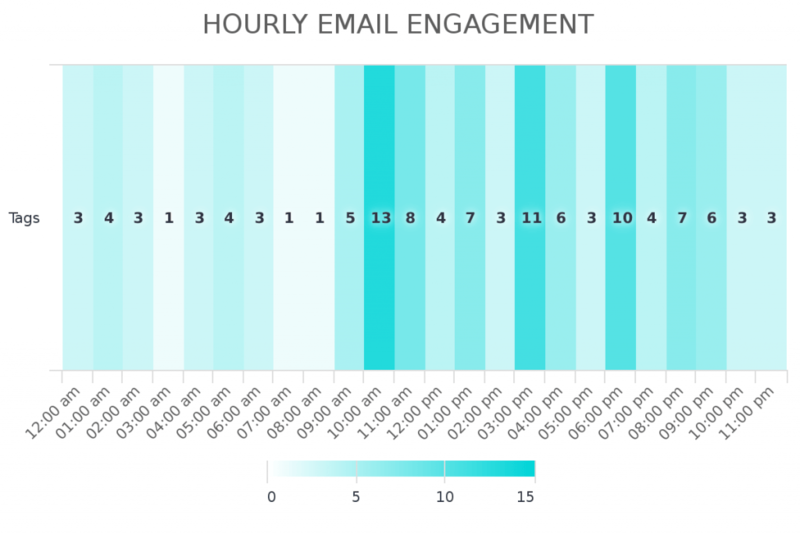 Shows the best time of the day to send emails. Shows the best day and time to send emails. Shows a breakdown of the number or the revenue in each of your opportunity stages. 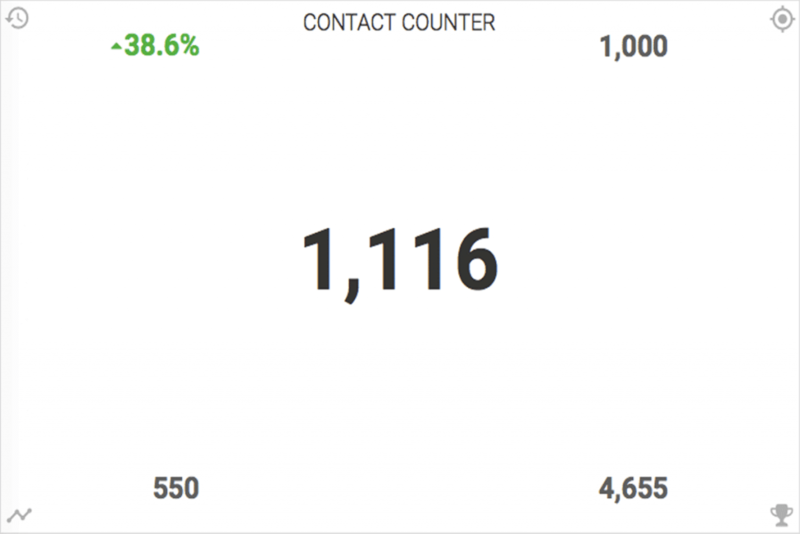 Shows the total number of contacts with each selected tag. Can limit by date range. 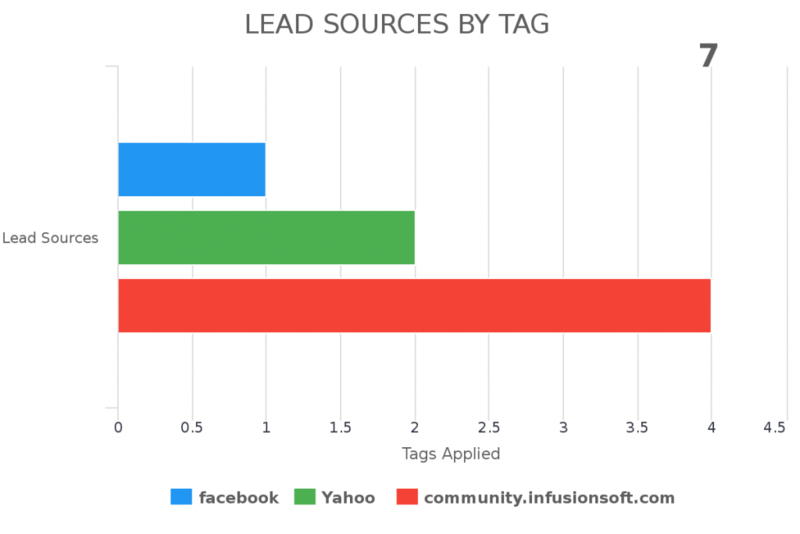 Identify your best customers and discover the common lead sources and tags they share. Shows the current value, trend, goal, average and best with the ability to display the count, sum, average, min or max (for contact records). Shows the current value, trend, goal, average and best with the ability to display the count, sum, average, min or max (for order records). 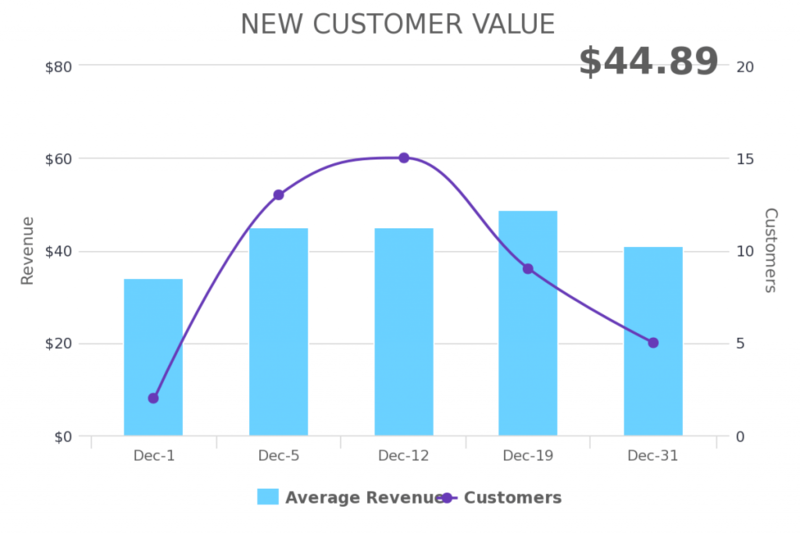 Shows the current value, trend, goal, average and best with the ability to display the count, sum, average, min or max (for subscription records). 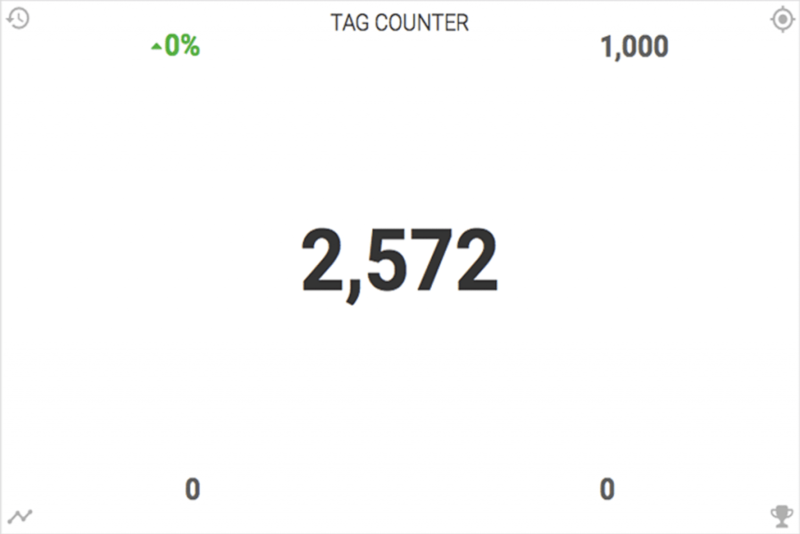 Shows the current value, trend, goal, average and best with the ability to display the number of contacts with the selected tags. 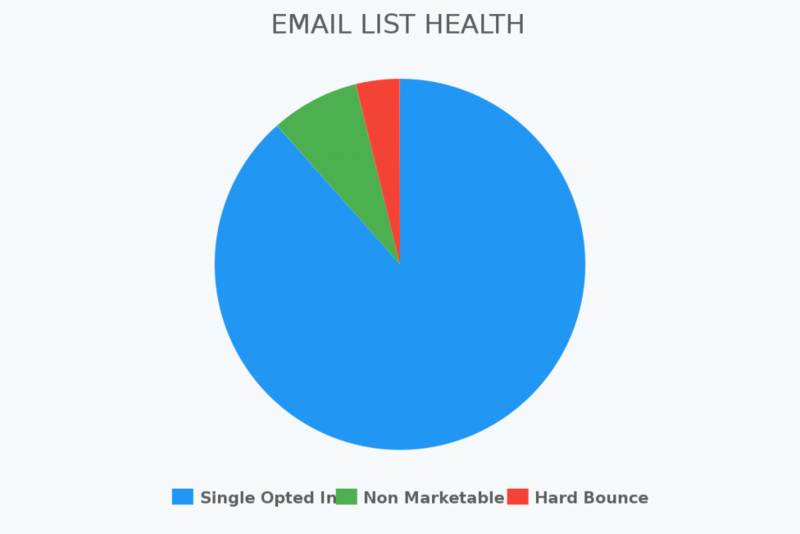 Shows a breakdown of the different email status for your email list. 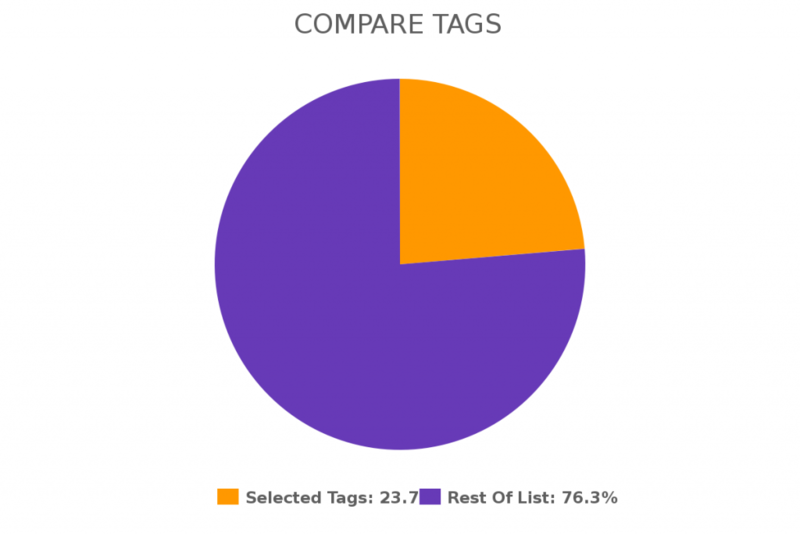 Compare the number of contacts with tags to each other or to your entire list in a pie chart. 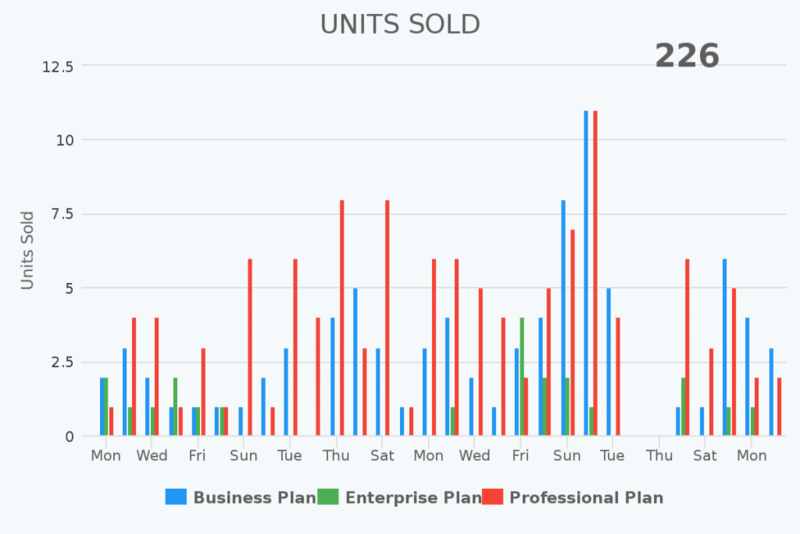 See the number of units sold for each product you select over a given date range. Add custom notes, messages, images, tables and more - anywhere on your dashboard. 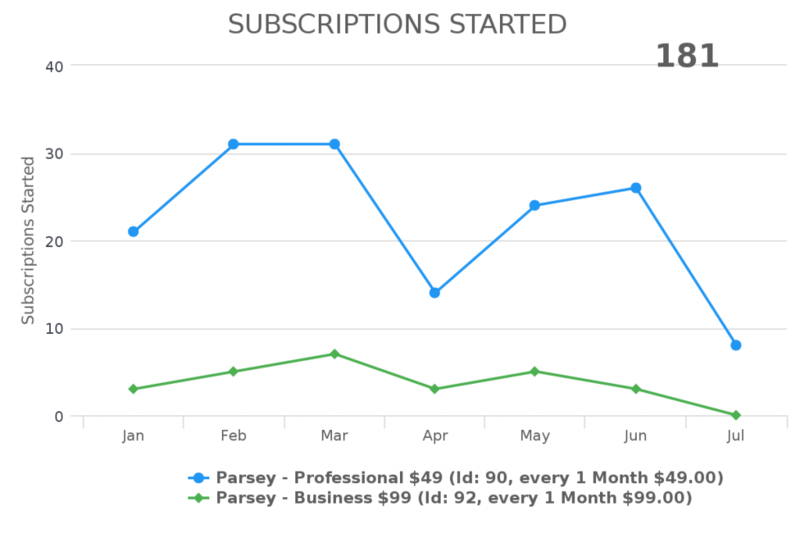 See the number of subscriptions that have started over a given date range. 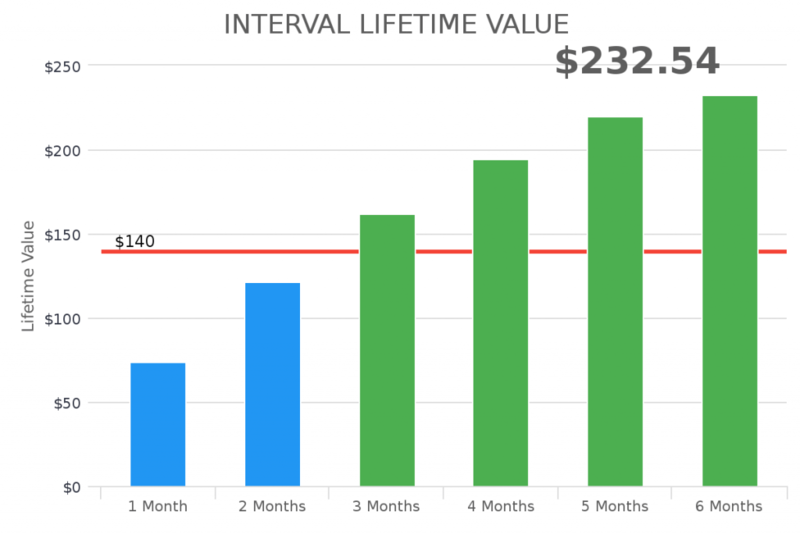 See the lifetime value at various time intervals of your choosing through out the customer life cycle. 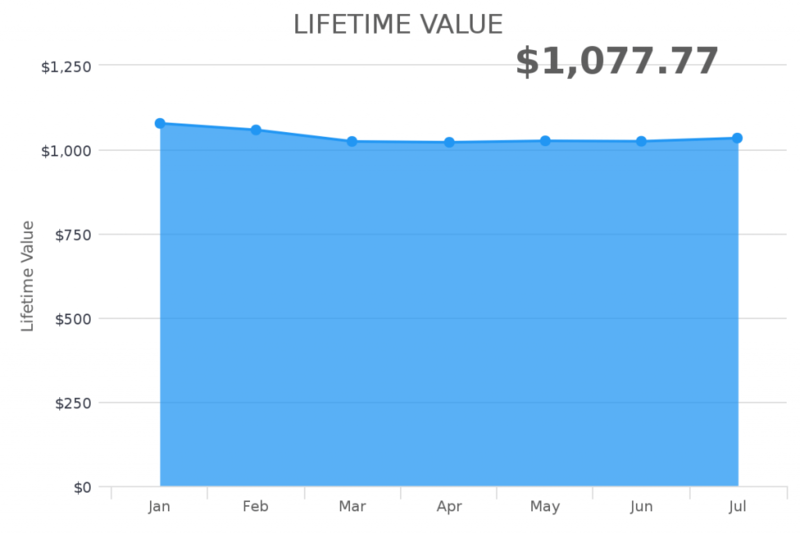 See the trend of the current lifetime value of your customers throughout a time frame you choose. 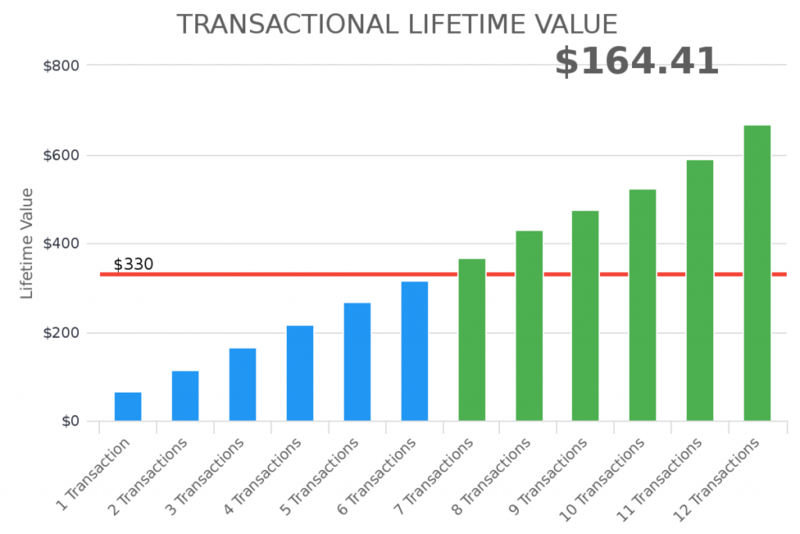 See the lifetime value at the very first transaction as well as at other transactions of your choosing. 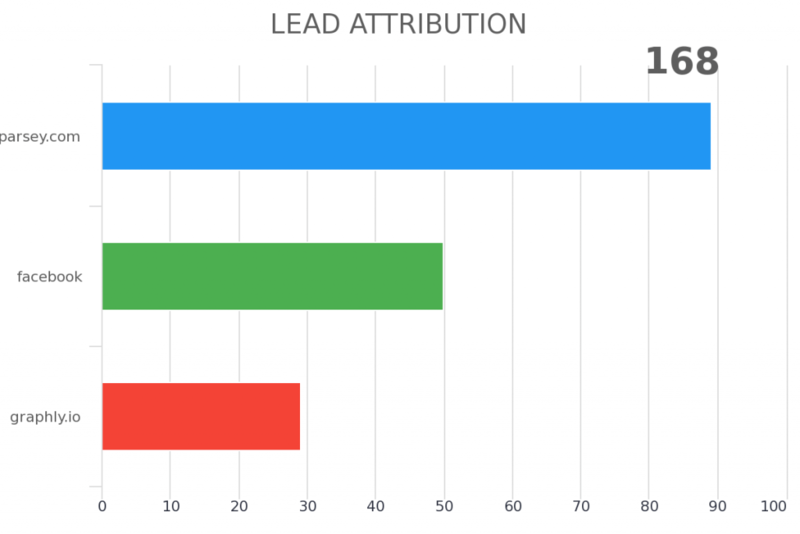 See the number of contacts that Graphly's Web Tracker set the lead source or address fields for you. 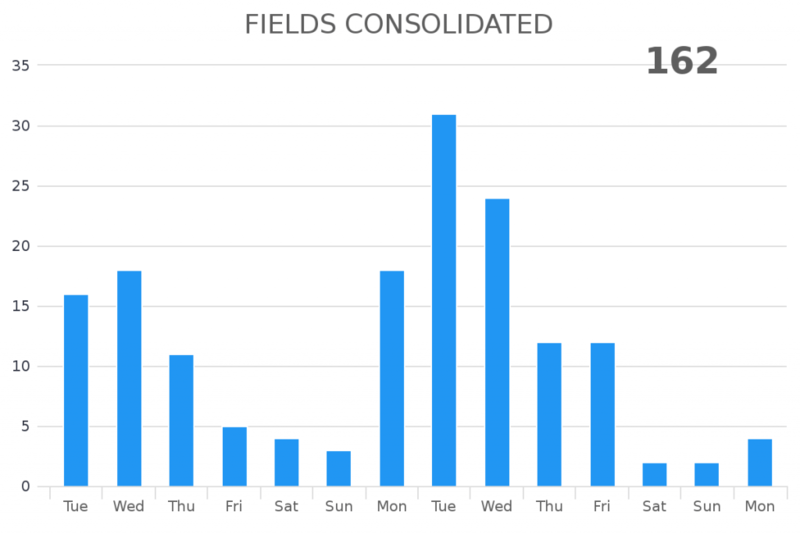 See the number of contacts that were updated because of the field consolidator over a given date range. 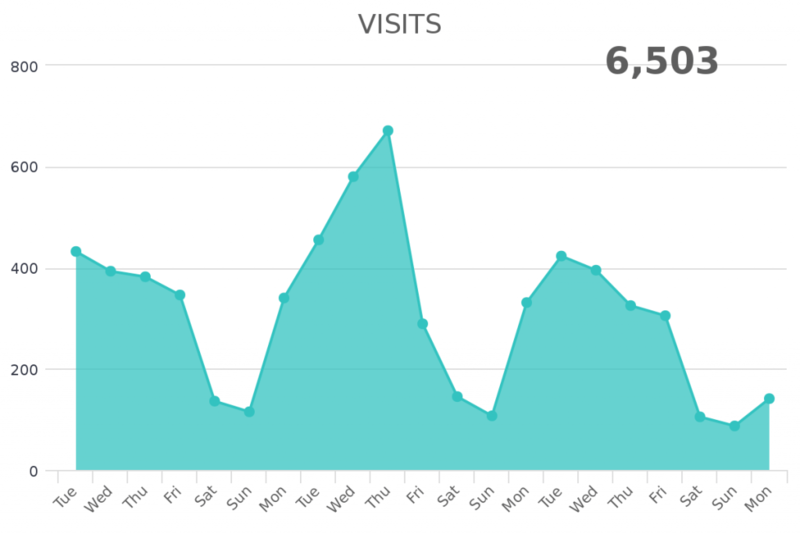 See the number of visits to your website over a given date range. 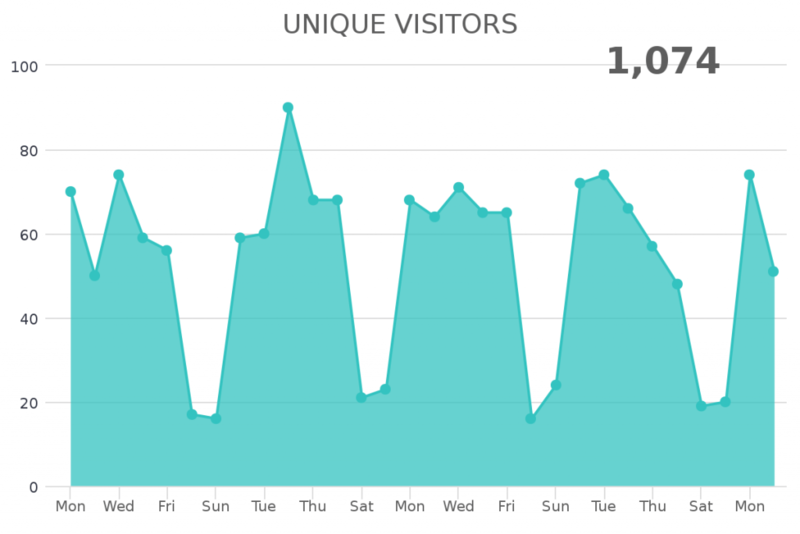 See the number of unique visitors to your website over a given date range. 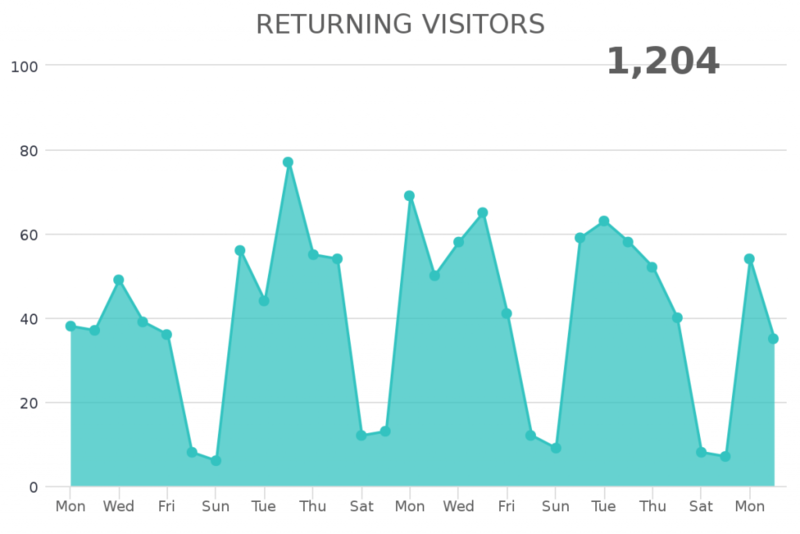 See the number of returning visitors to your website over a given date range. 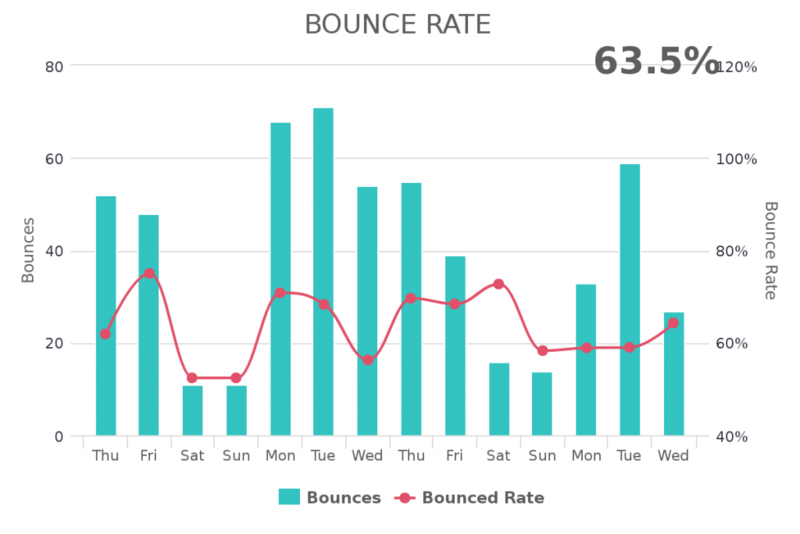 See the average bounce rate of visits to your website over a given date range. 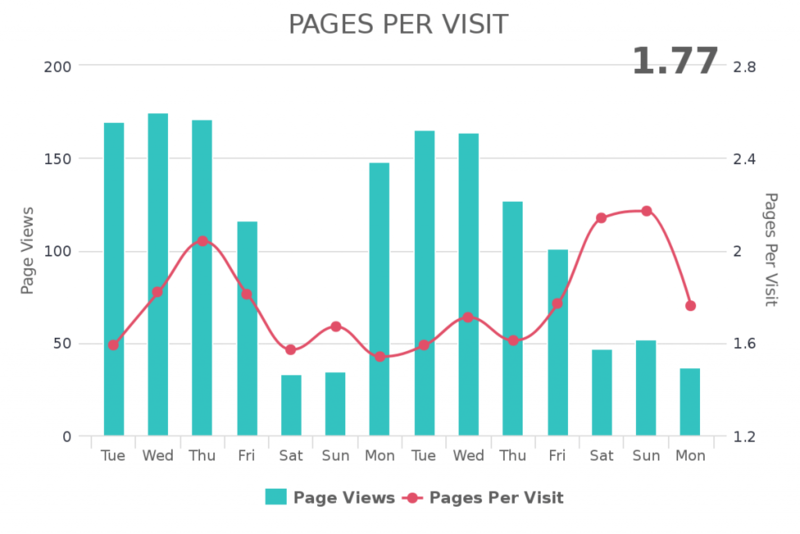 See the average pages viewed for each visit to your website over a given date range. 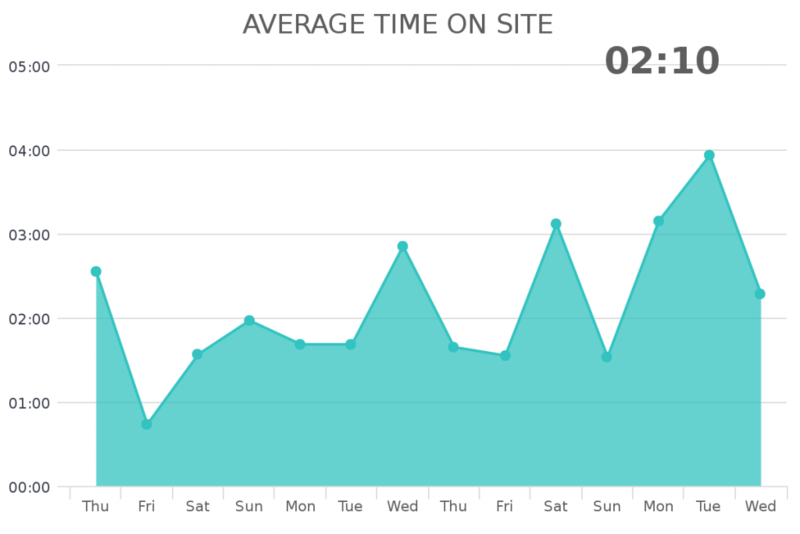 See the average time on your site for each visit, over a given date range. 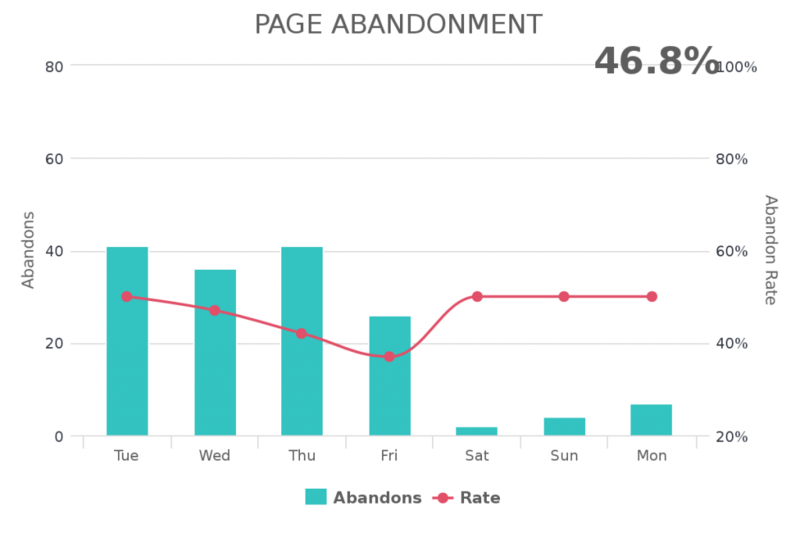 See how a page converts to the next page over a given date range. See the abandons of a page over a given date range. 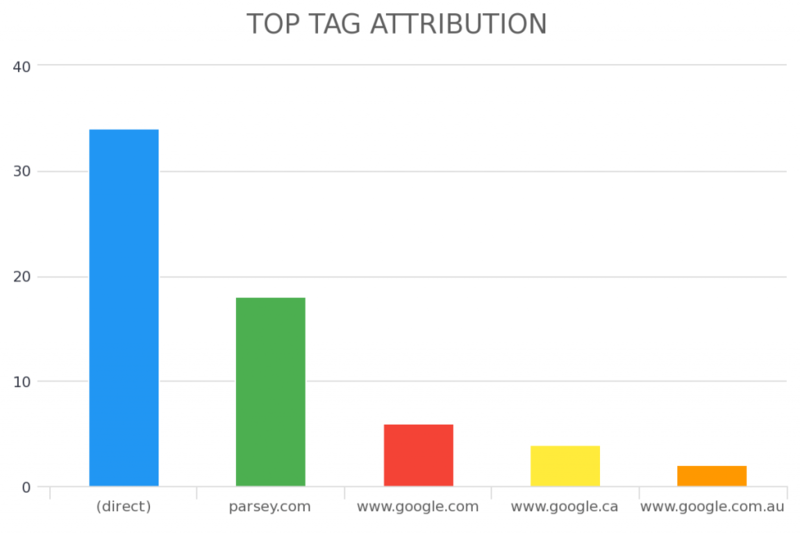 See the UTM parameters responsible for list growth. 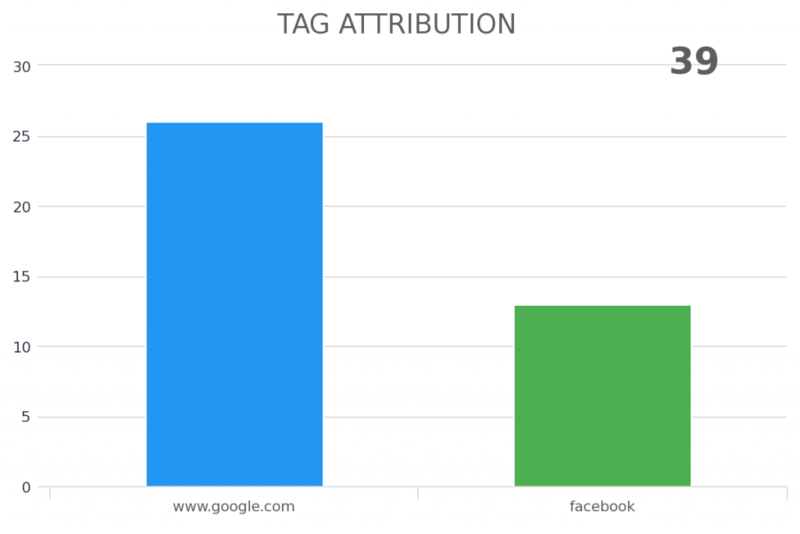 See the UTM parameters responsible for tags getting applied. 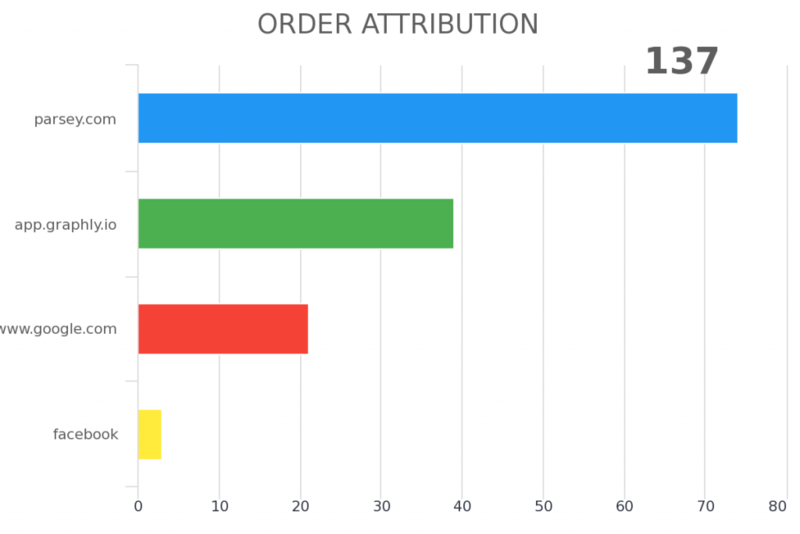 See the UTM parameters responsible for orders getting created. 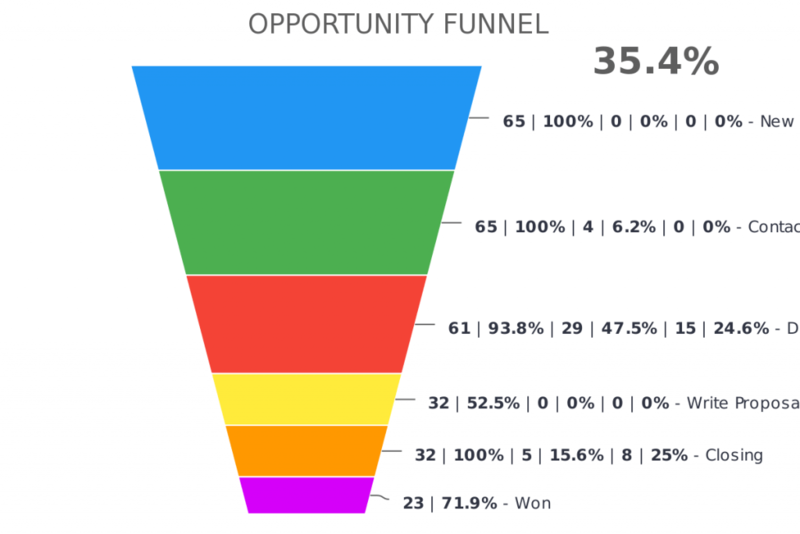 See the UTM parameters responsible for opportunites getting created. 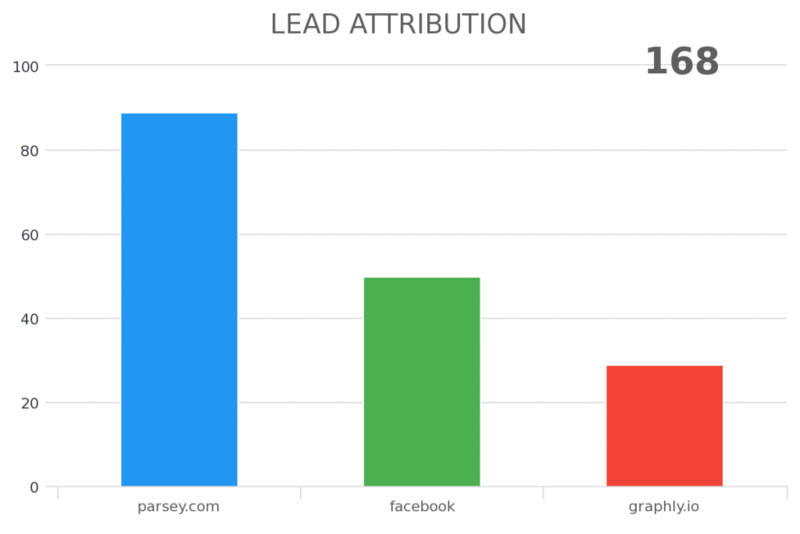 Select the UTM parameters you want to see for list growth. 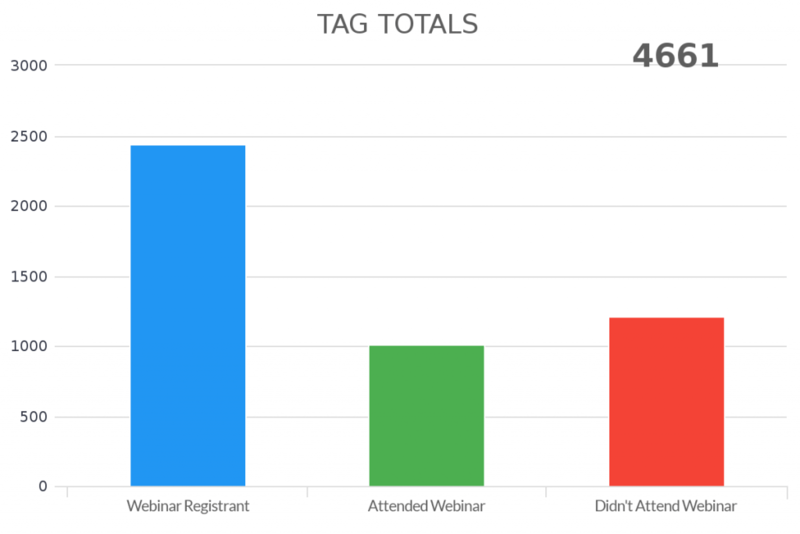 Select the UTM parameters you want to see for tags getting applied. 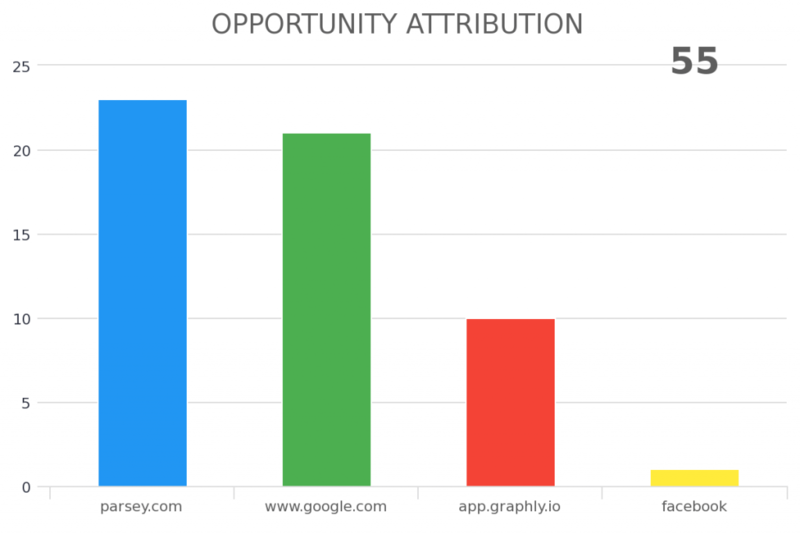 Select the UTM parameters you want to see for opportunities getting created. Select the UTM parameters you want to see for orders getting created. 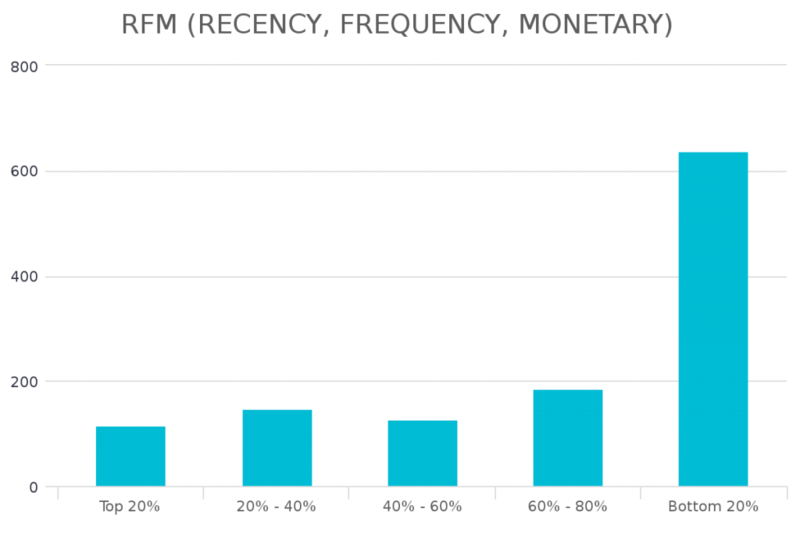 See the average, high, low of new customers first purchase. 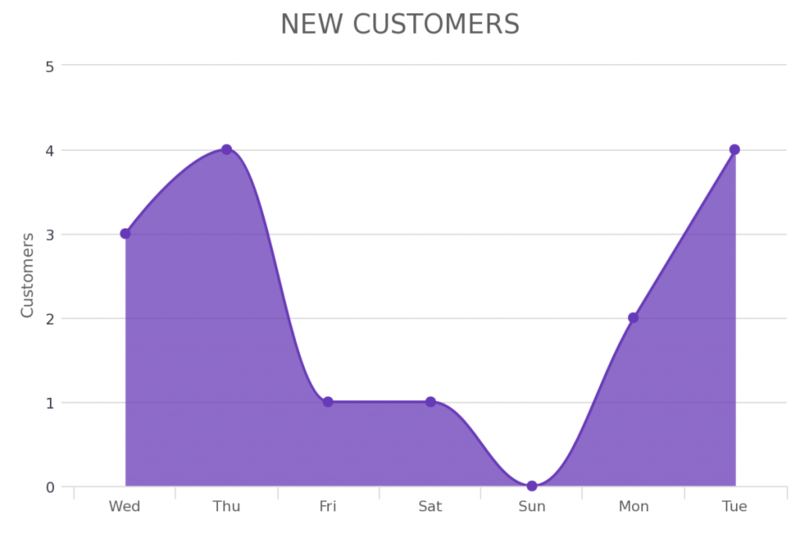 See the total number of new customers over a given time frame. Shows the conversion rate and exit rate of any stage in your pipeline. 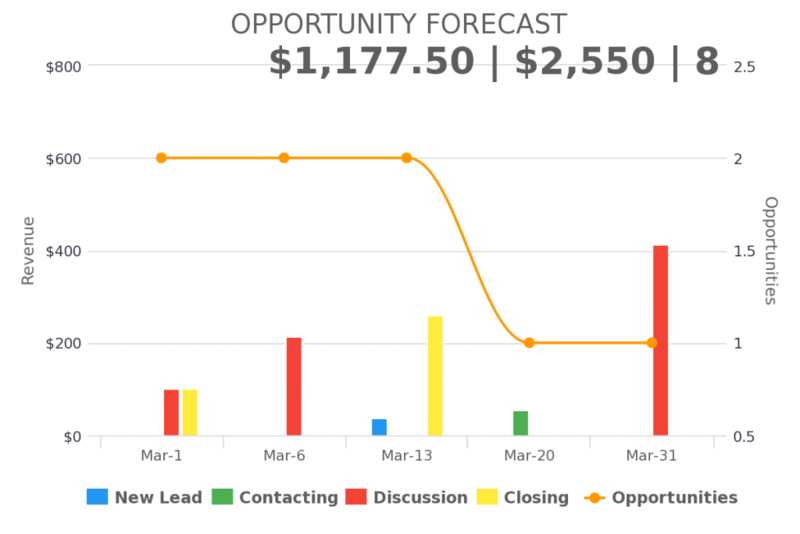 Forecast the adjusted revenue of active opportunities based on the stage probability. 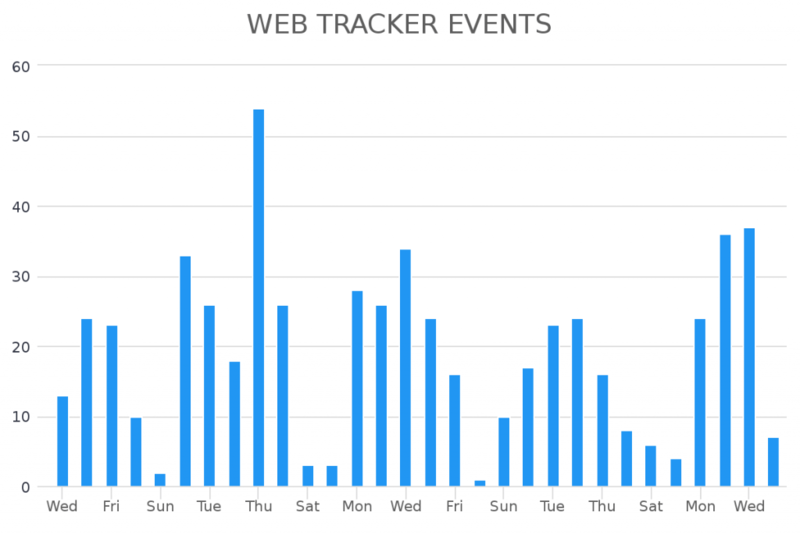 Shows the days which tags are applied. Shows the day and time people purchase from you. Shows the day and time which tags are applied. 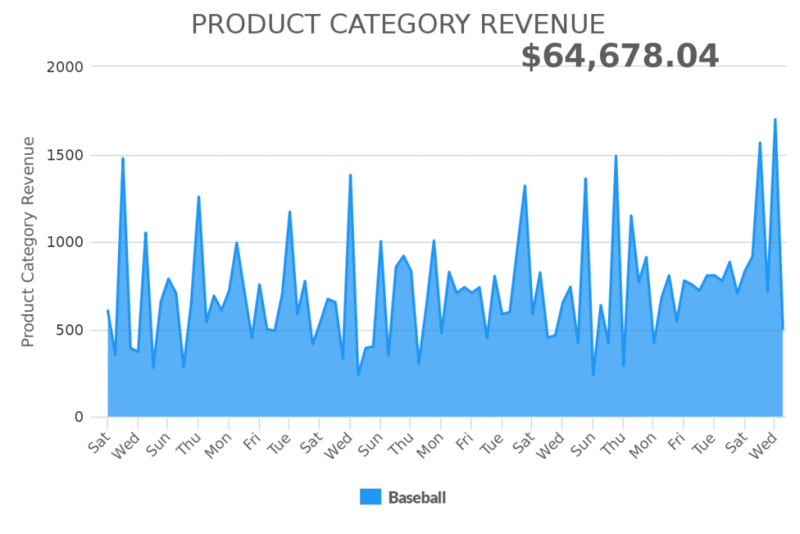 Shows the days people purchase from you. 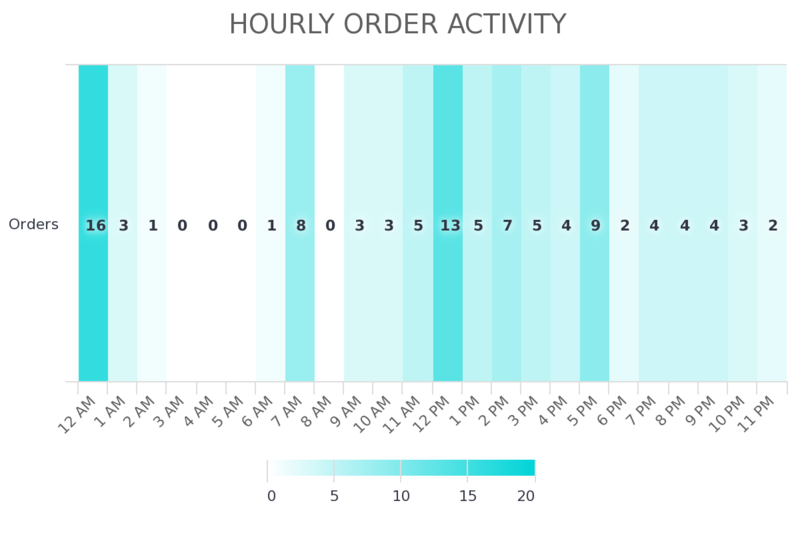 Shows the time of the day that people purchase from you. 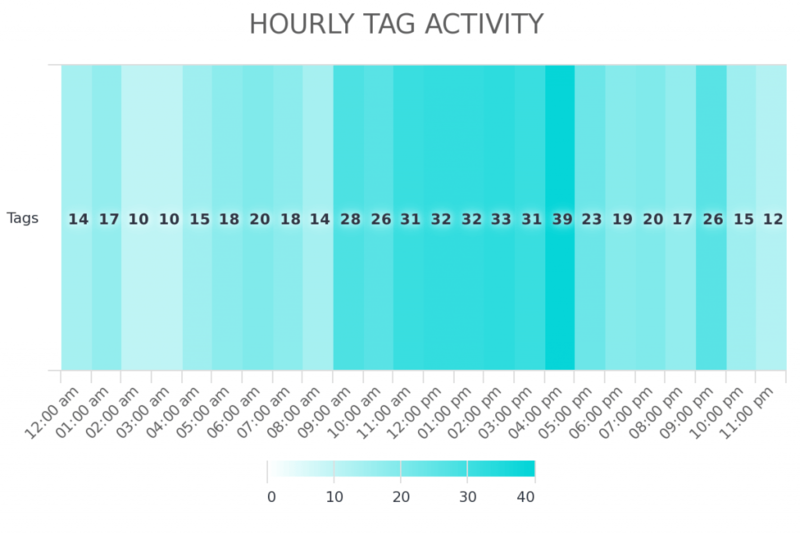 Shows the time of day which tags are applied. 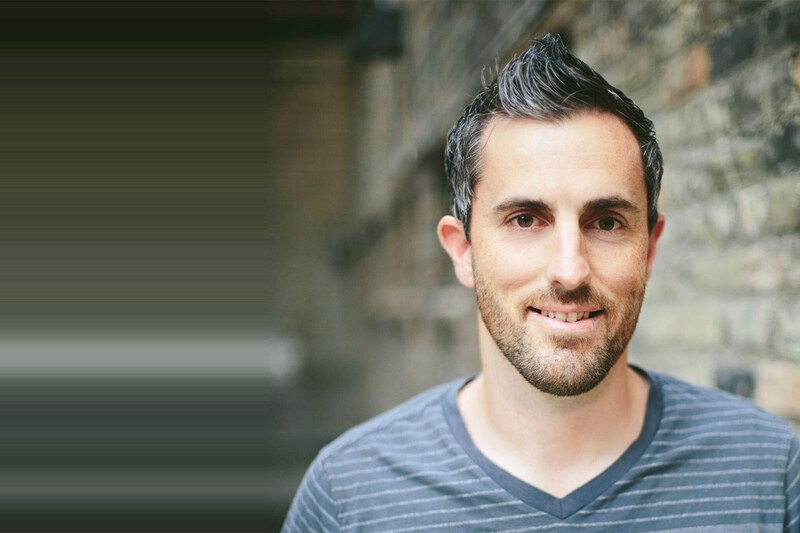 Drastically increase conversions, cut out guess work, and close more business. You don’t like contracts, neither do we. 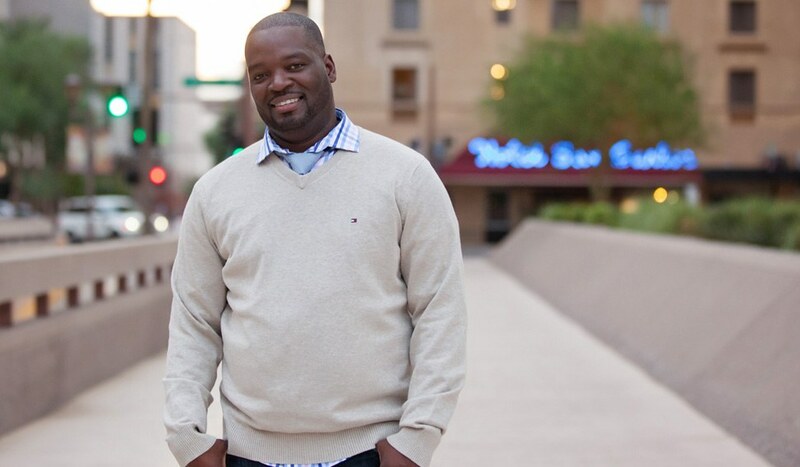 We earn your business on a monthly basis. You have the freedom to upgrade, downgrade or cancel your plan whenever you want. All users are welcome to use our "Lite" plan which includes 10 pre-selected report templates, 2 dashboards, 1 user and syncs with Infusionsoft daily. Absolutely not. You don’t even enter your credit card to create a Graphly Lite account. Use it for as long as you'd like. How do I get access to Facebook Reporting.? Facebook reporting is included in our top tier plans, Advertiser and Unlimited. Can I install Graphly on my own server? No. Graphly is a cloud-based, Software as a Service (SaaS) application. We maintain our servers, security and updates so you don’t have to. Graphly keeps your data safe by employing application security, operational security, user security and even network security. Data in Graphly is protected by 256-bit SSL security and data is never disclosed to third parties. Which browsers does Graphly support? Graphly is optimized for the most recent versions of the main browsers (Chrome, Firefox, Safari, Opera and IE9). 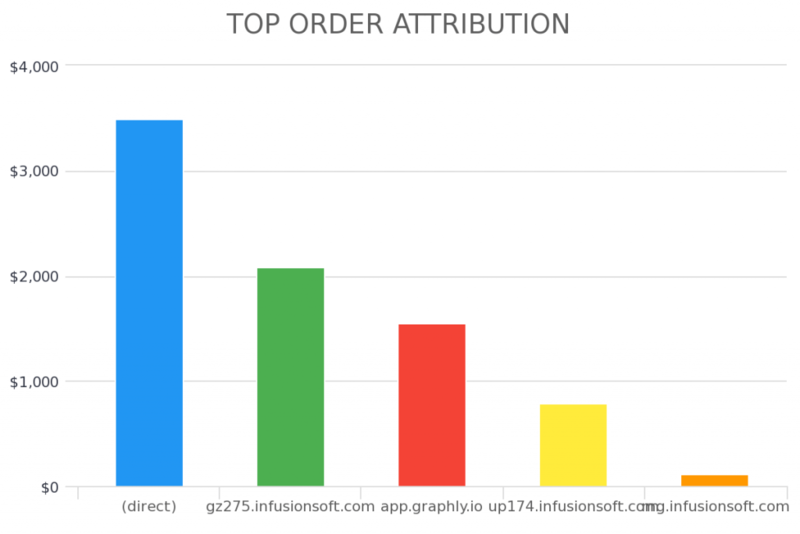 If you want to view Graphly reports inside your Infusionsoft account, we have browser extensions for Chrome and Firefox. We were the first company to create visual reporting for Infusionsoft - and in our completely subjective opinion, the first to perfect it. But don’t take our word for it, see for yourself! Almost forgot to mention, we have the campaign builder data you’ve been dying for. Can I customize the branding? Yes. You can replace Graphly’s branding with your own logo if you have an Enterprise account. Exactly what it sounds like. It means for that particular threshold, there is no limit. Call or email us any time Monday to Friday during business hours and we’ll get back to you as quickly as possible! Create a Lite Account Today, No Credit Card Required. Enjoy Graphly Lite as long as you'd like. Upgrade for additional features and functionality.